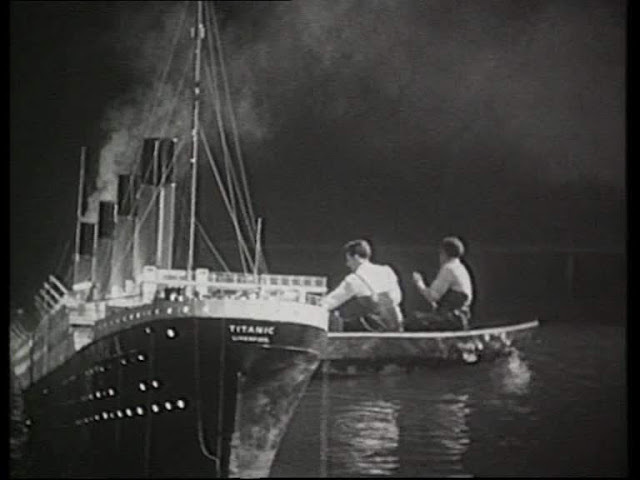 Arguably still the best movie depiction of the Titanic disaster to date with miniature work done at Pinewood supervised by Bill Warrington. 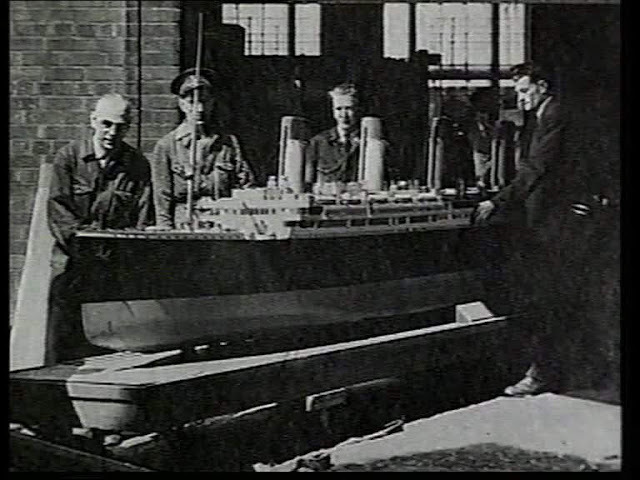 The model Titanic for the film was built by Shawcroft models Limited in only 6 weeks. 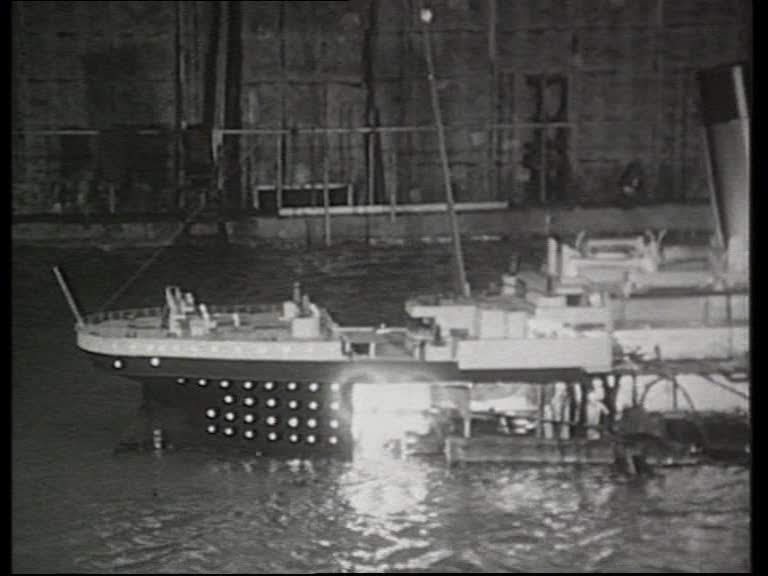 It was built on a steel frame attached to steel drums for floatation and detailed predominantly on the port side. 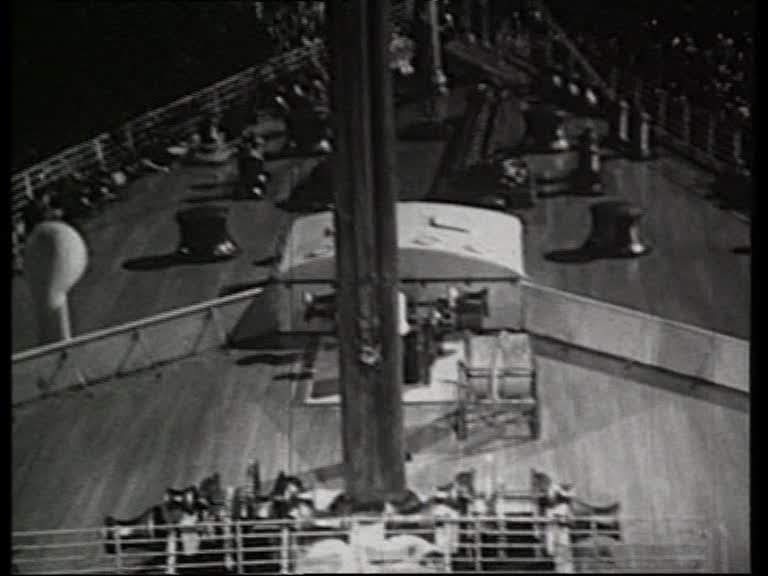 The starboard side was left open to allow access to the many interior lights. 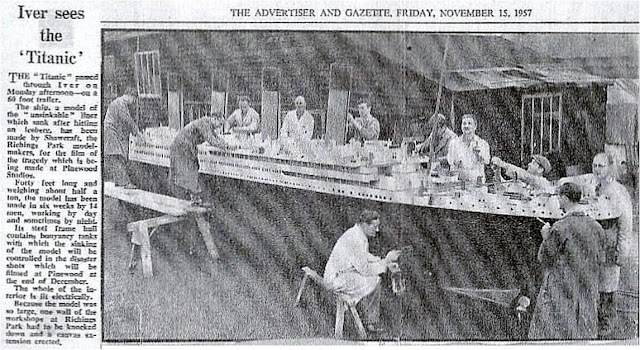 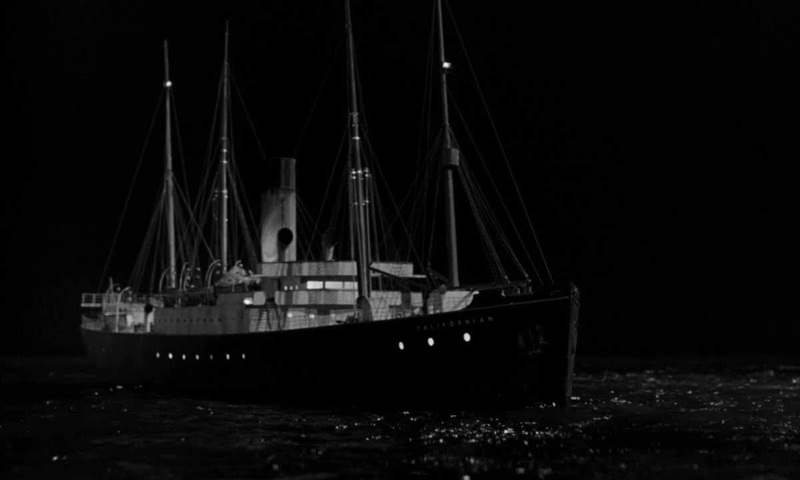 According to IMDB The model titanic was 35 feet long (10.7m) however a local newspaper article on the model builders has it at 40 feet (12.2m). 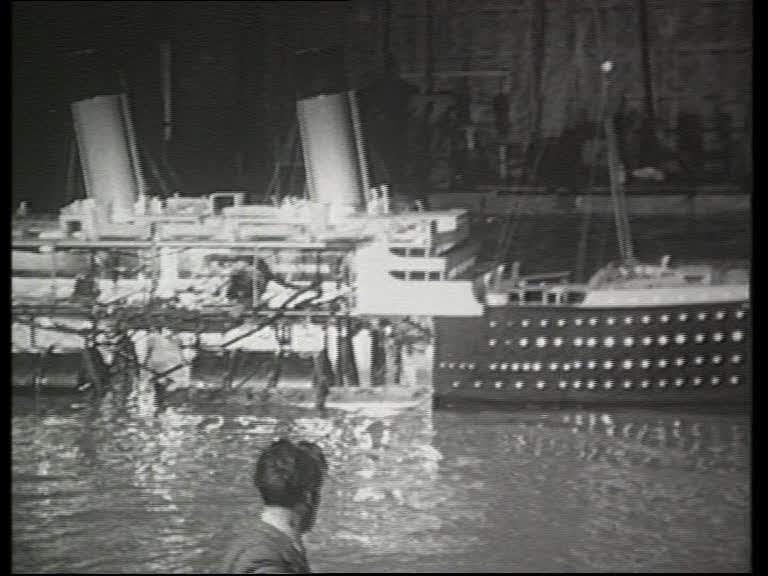 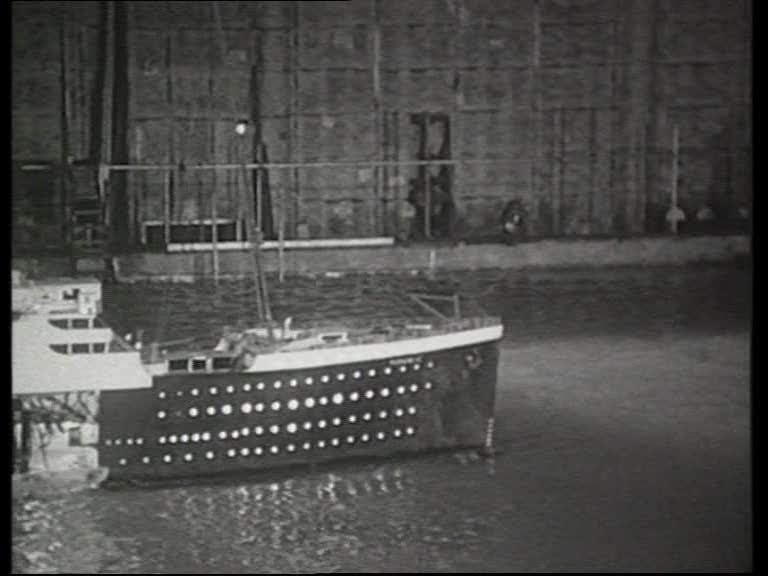 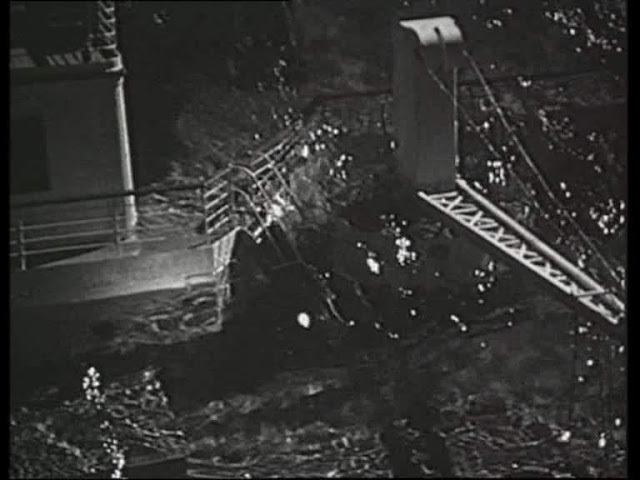 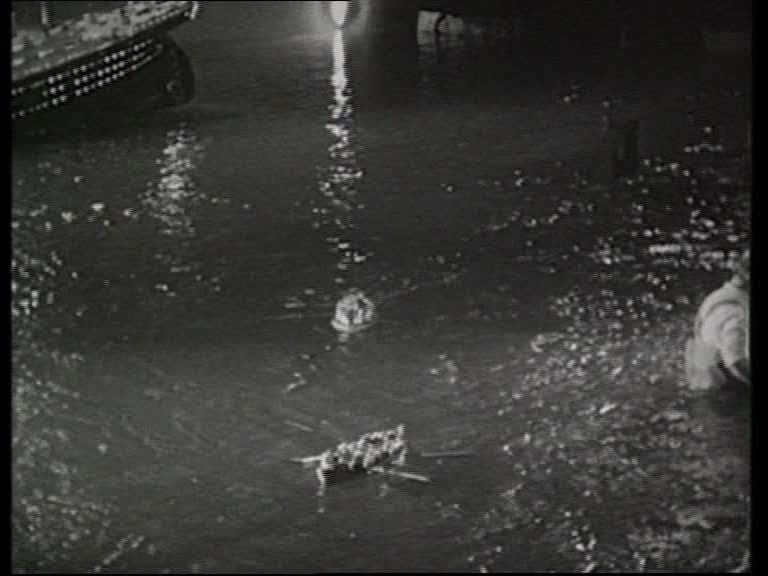 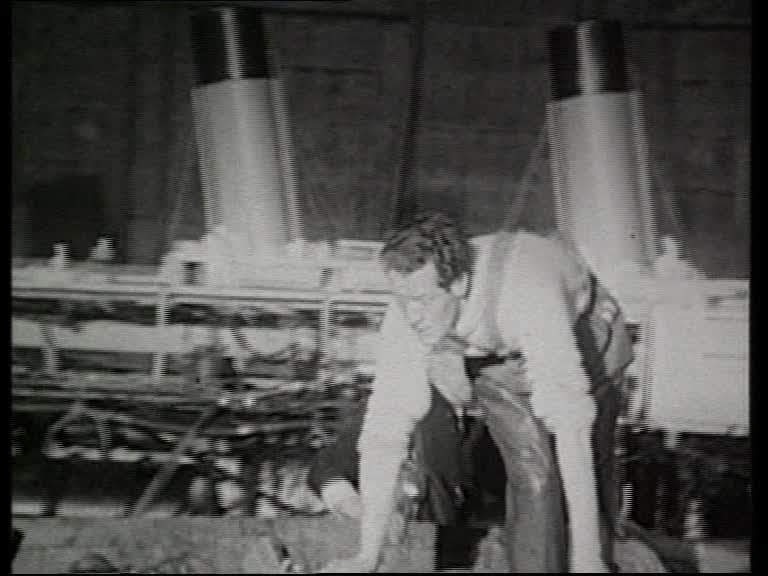 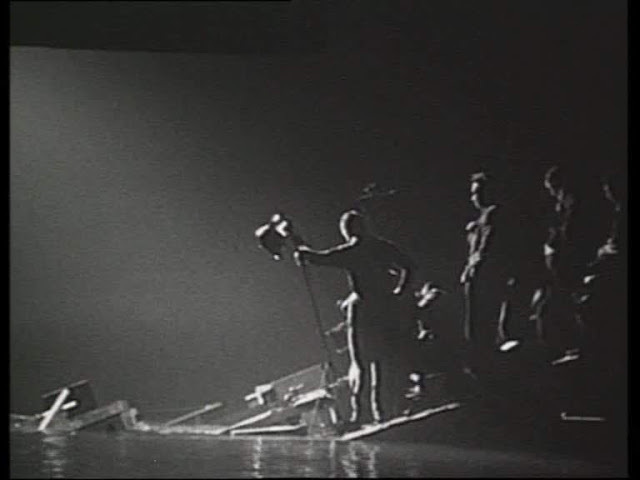 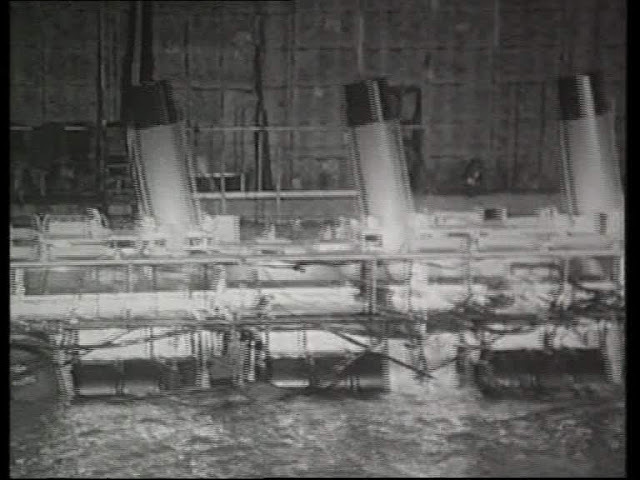 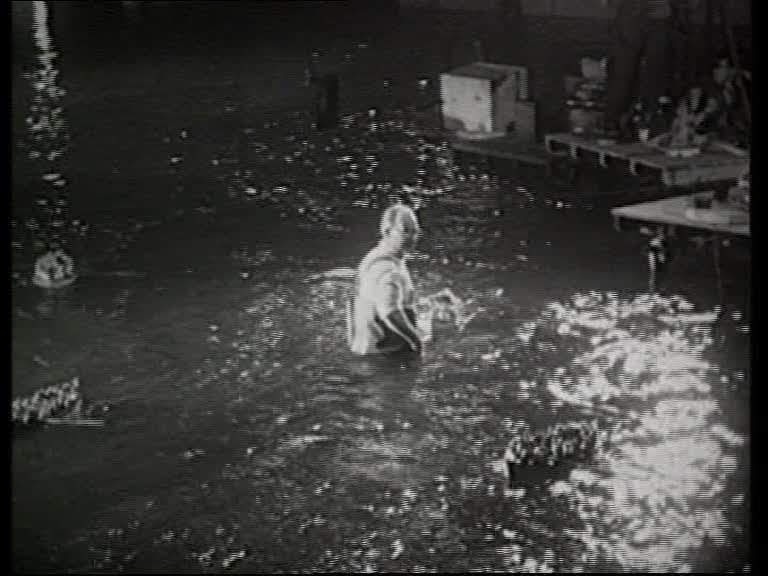 The tank at Pinewood was not deep enough to sink the whole model so sections were progressively removed to allow the different stages of the sinking to be filmed. 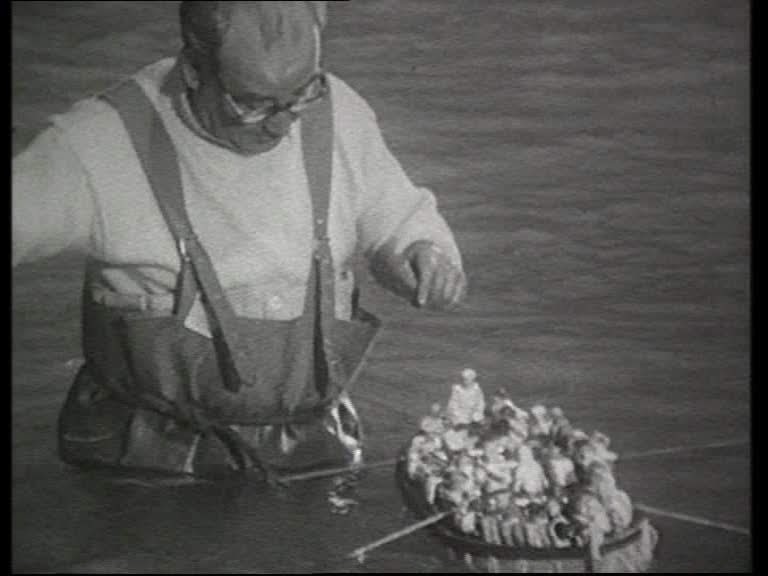 Miniature mechanised rowboats filled with tiny survivors were also constructed. These can usually be seen bobbing about in the foreground of the sinking shots and in many instances in very soft focus due to the depth of field problems common in miniature photography. 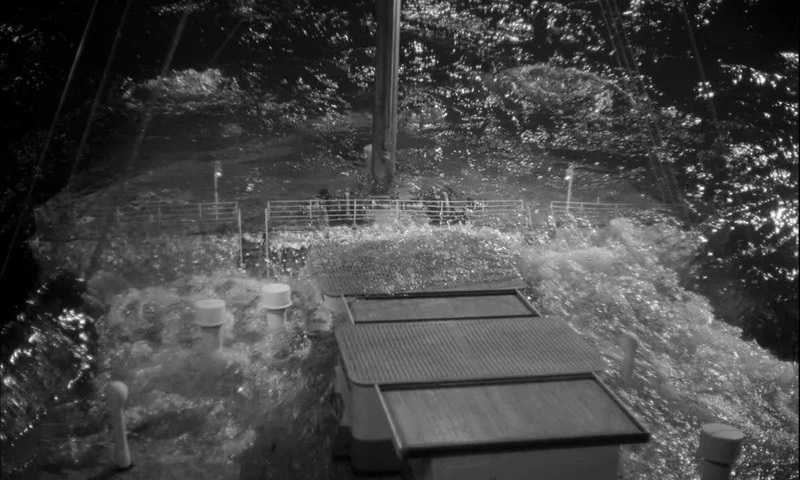 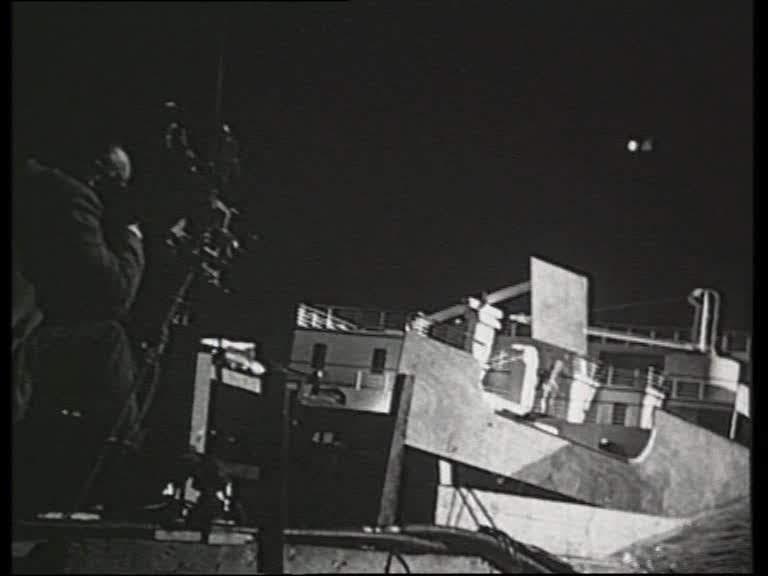 Filmed at night using artificial light, these scenes are particularly problematic not having the sun to assist in achieving a small aperture (see this post for more on this subject). 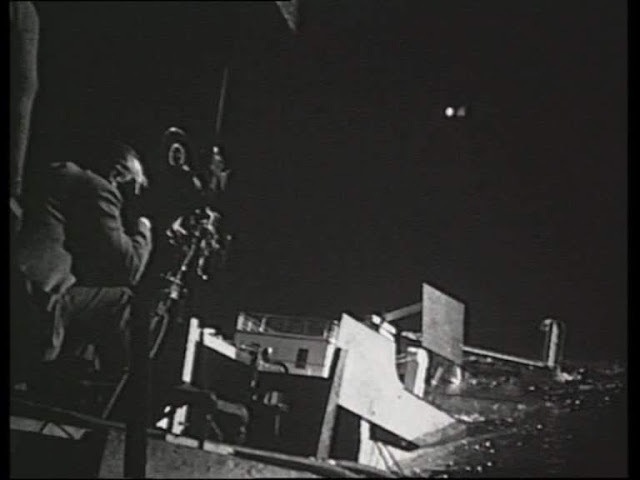 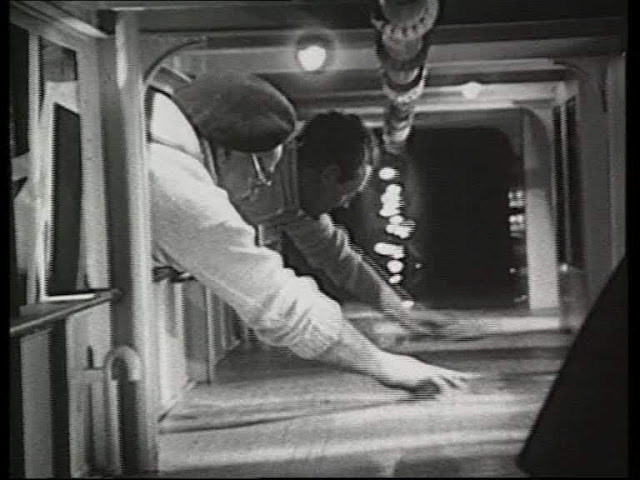 In Hollywood during the 1940's and '50's it was more usual to shoot miniature model ship night scenes during the day using the day for night technique. 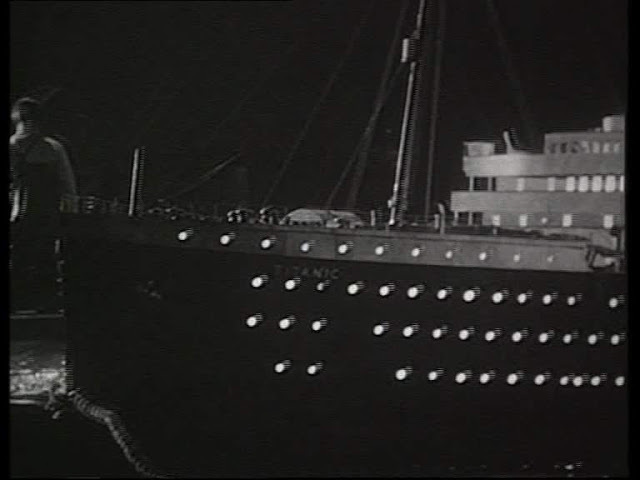 In fact in order to get a convincing day for night effect the models were often painted black to maintain a convincing contrasty silhouette. 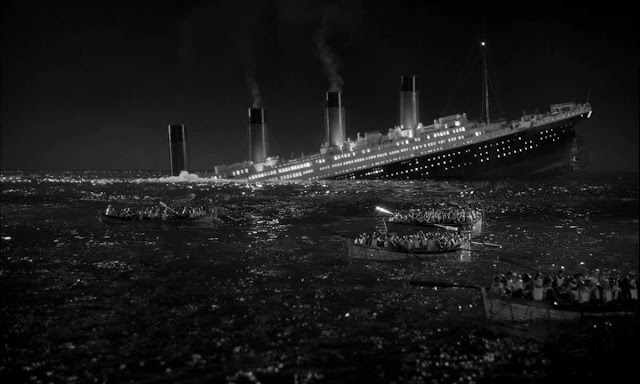 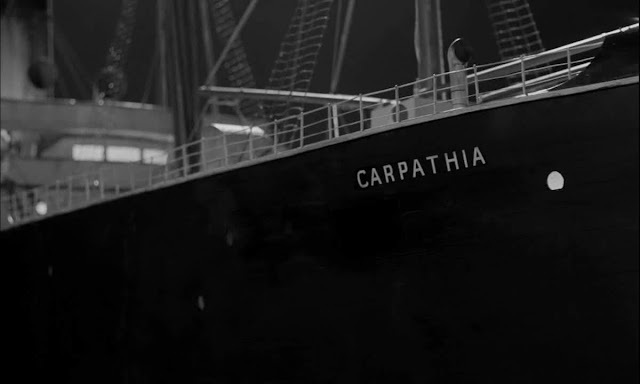 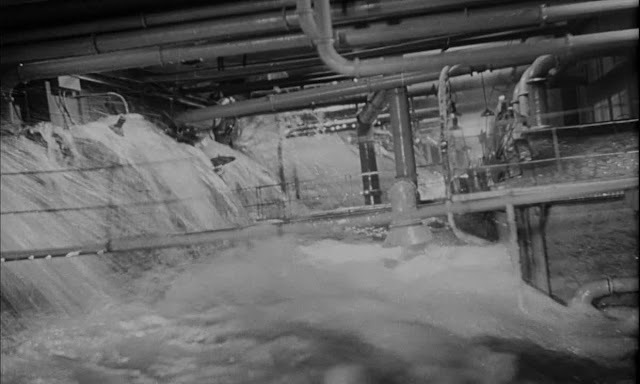 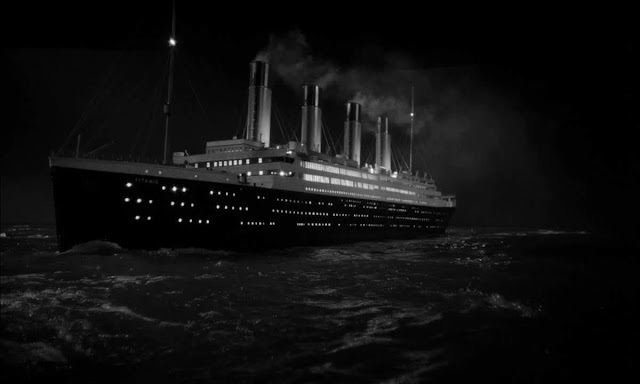 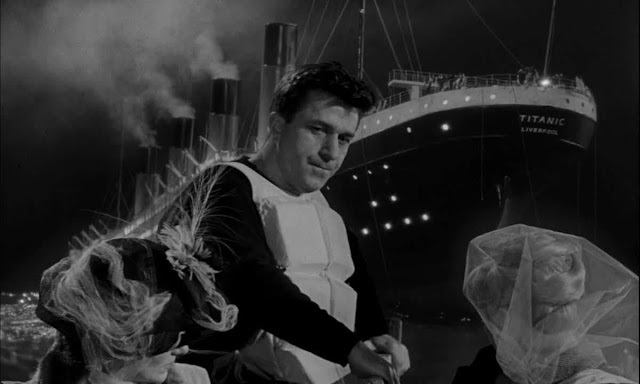 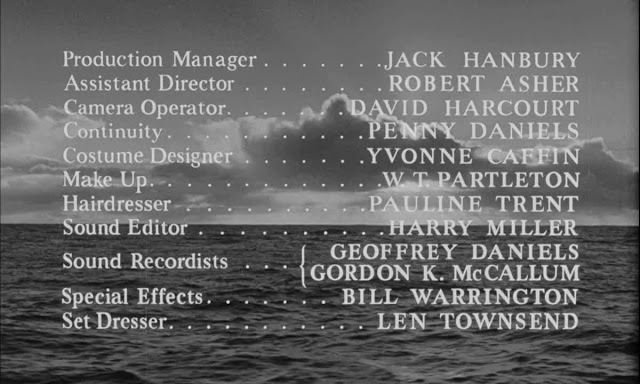 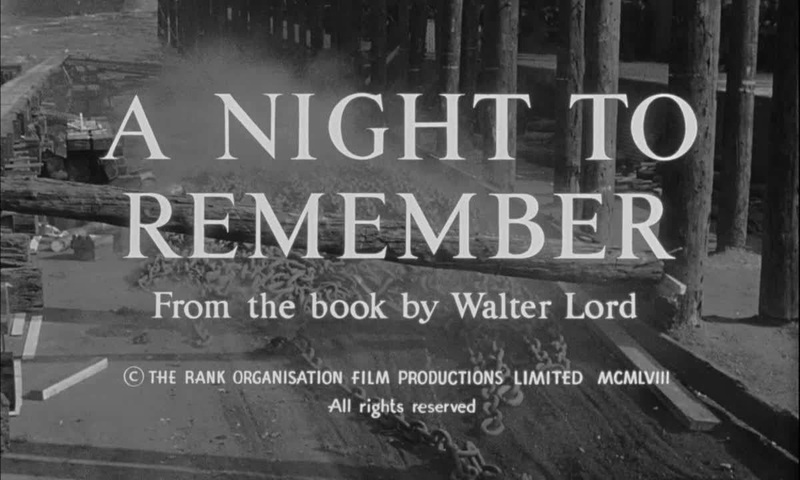 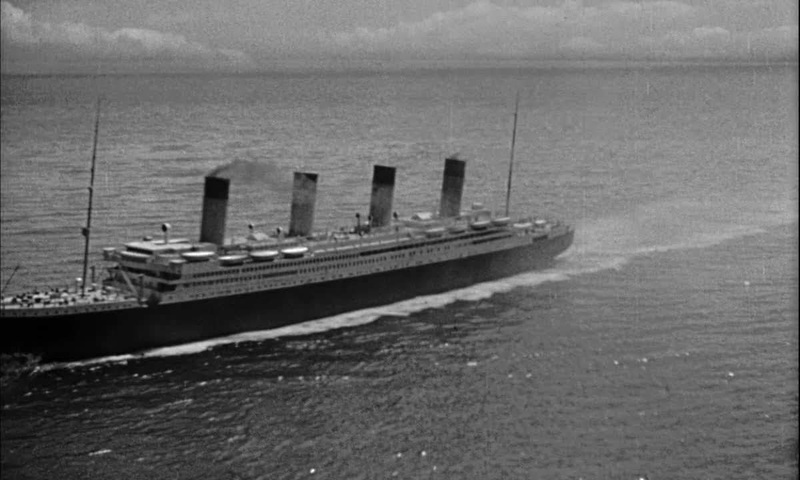 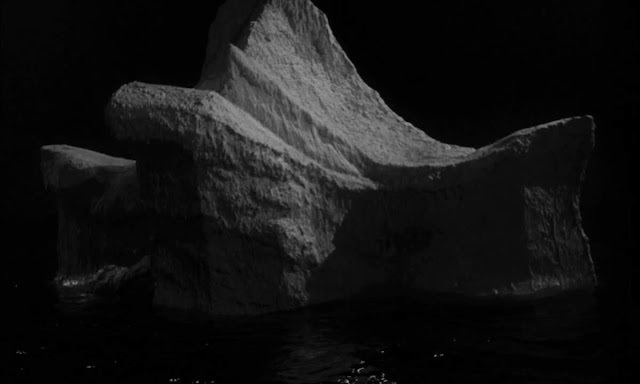 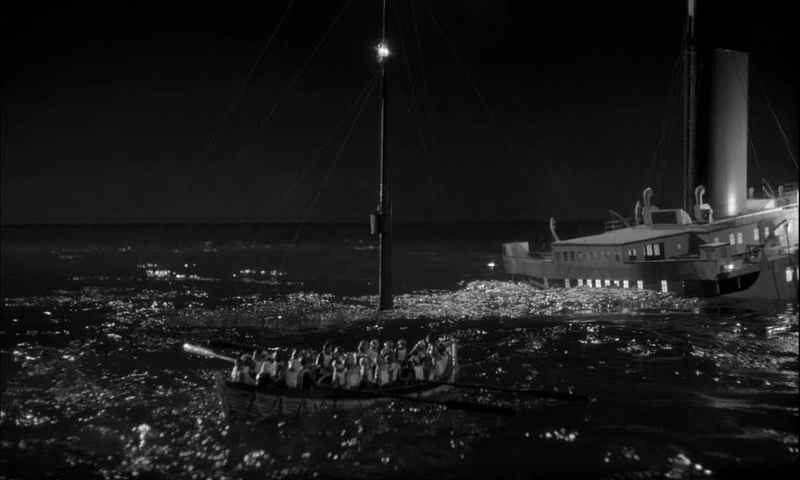 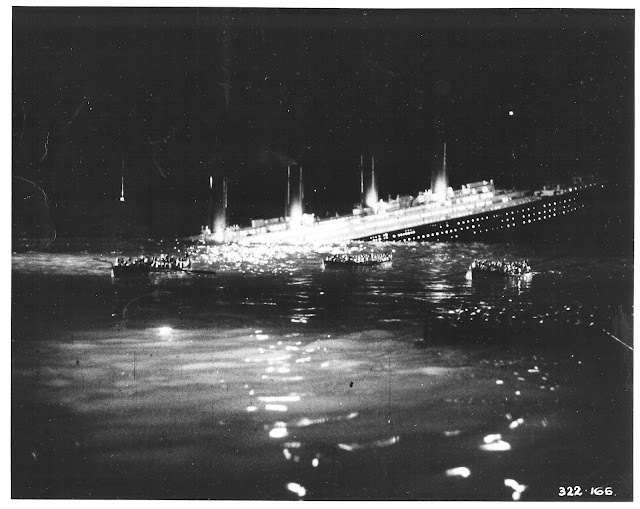 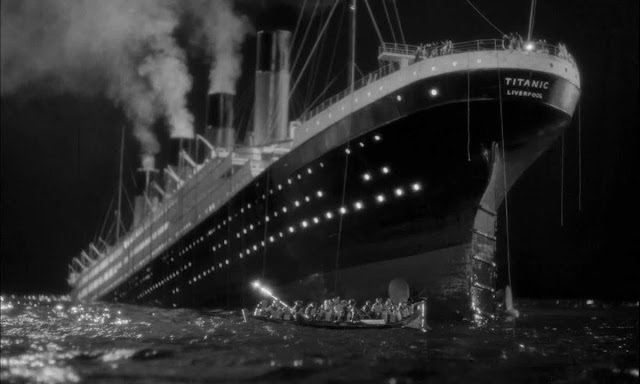 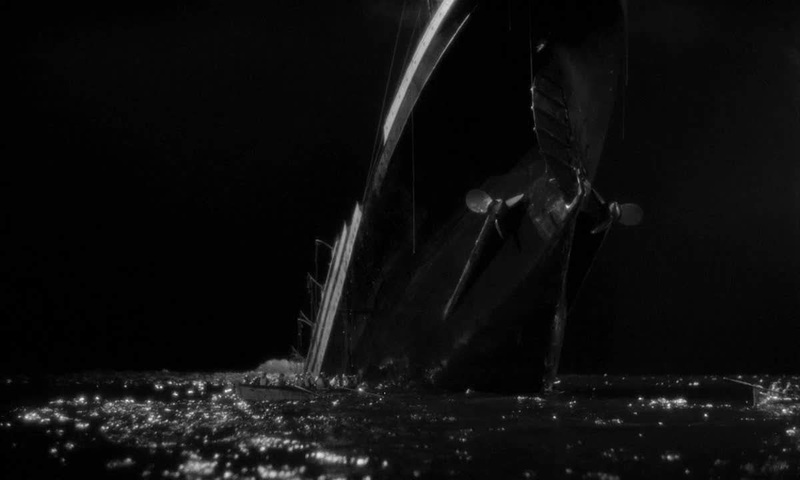 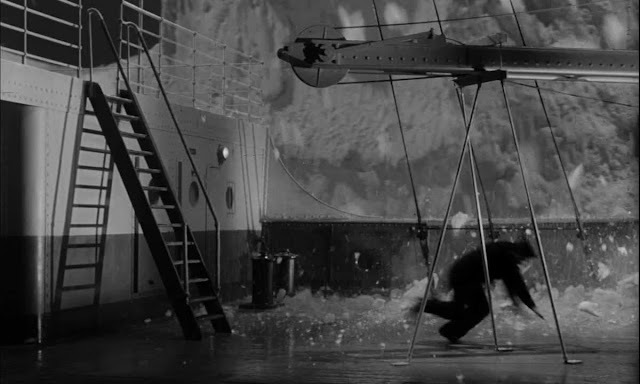 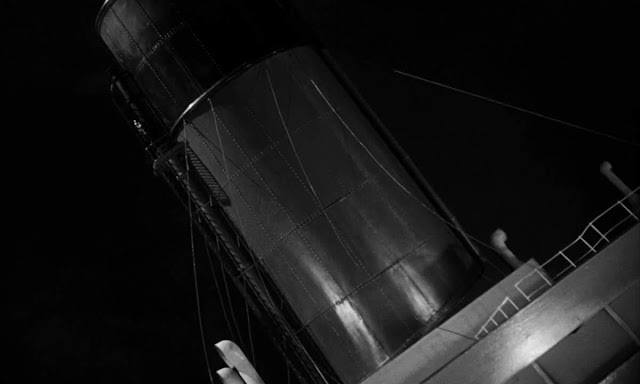 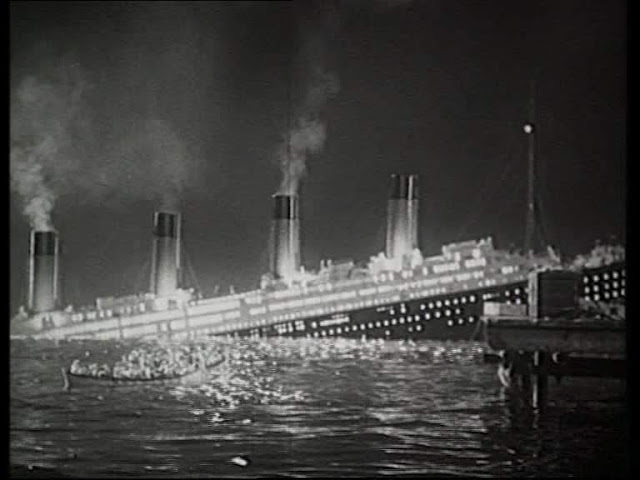 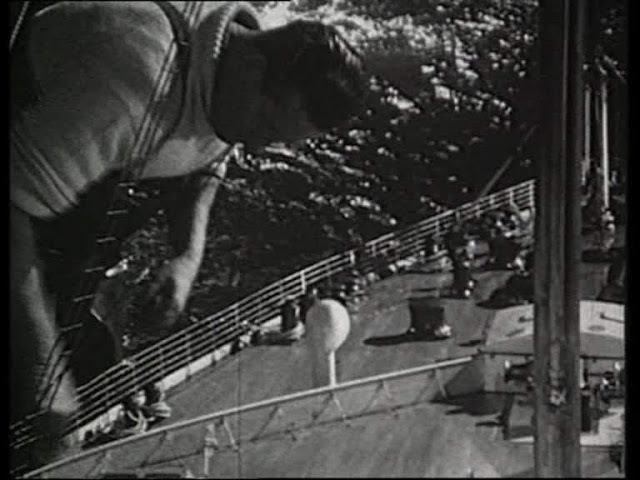 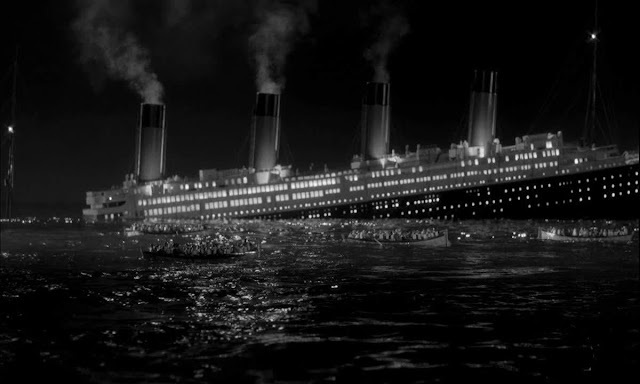 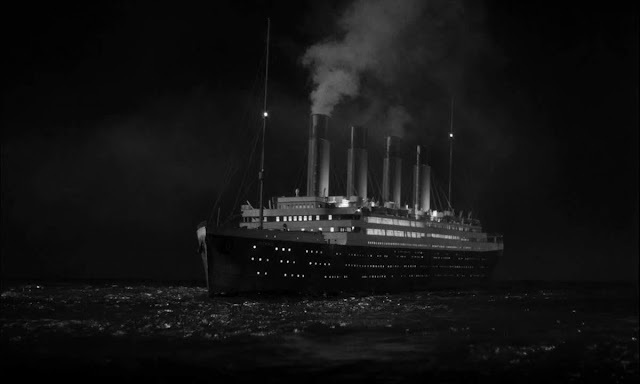 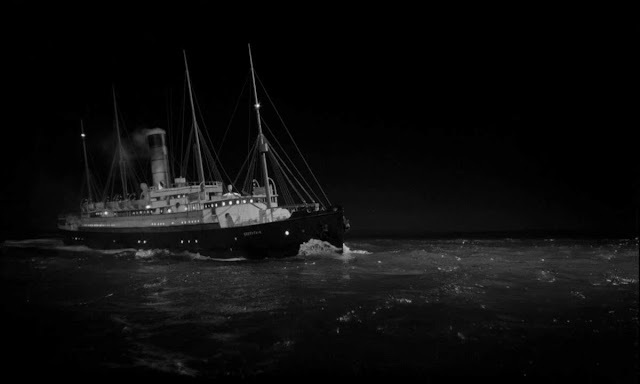 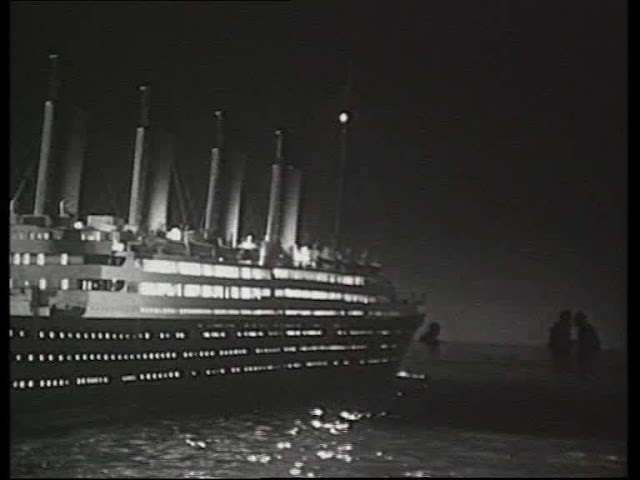 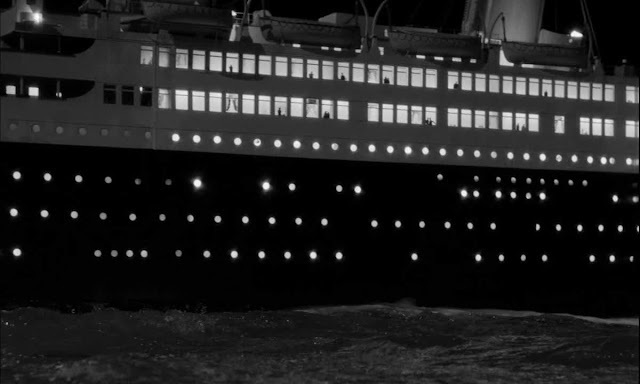 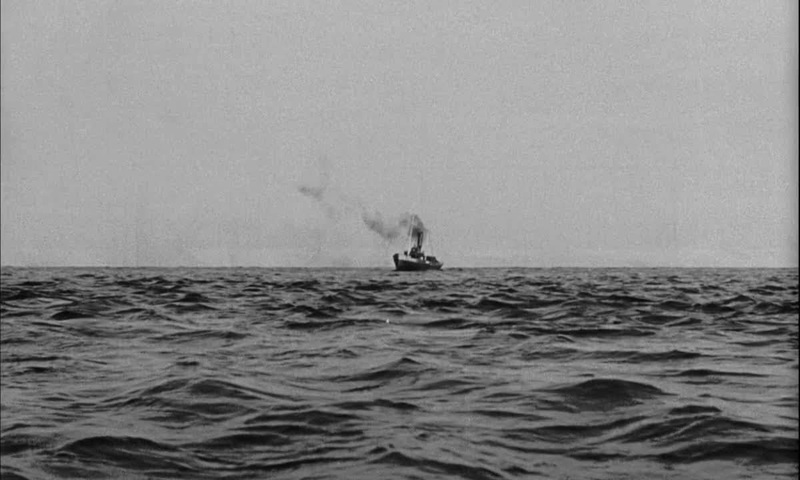 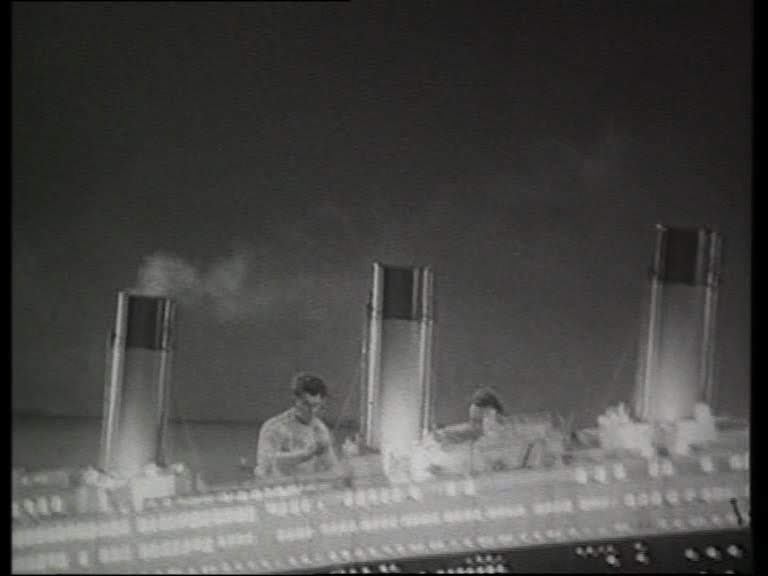 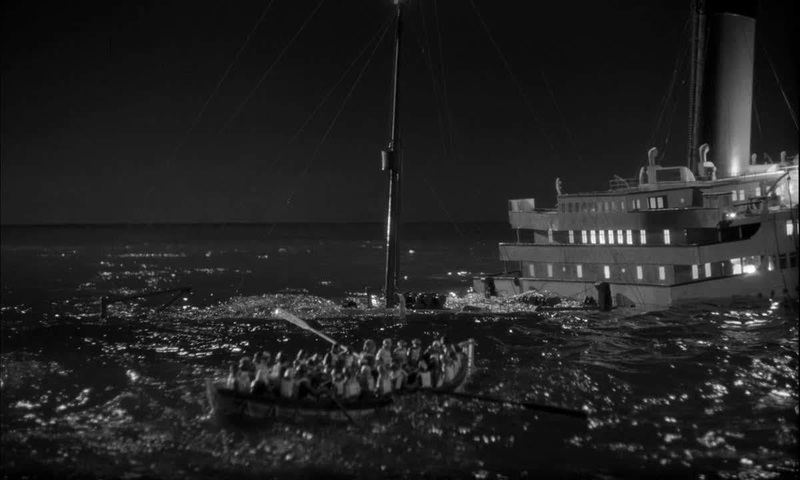 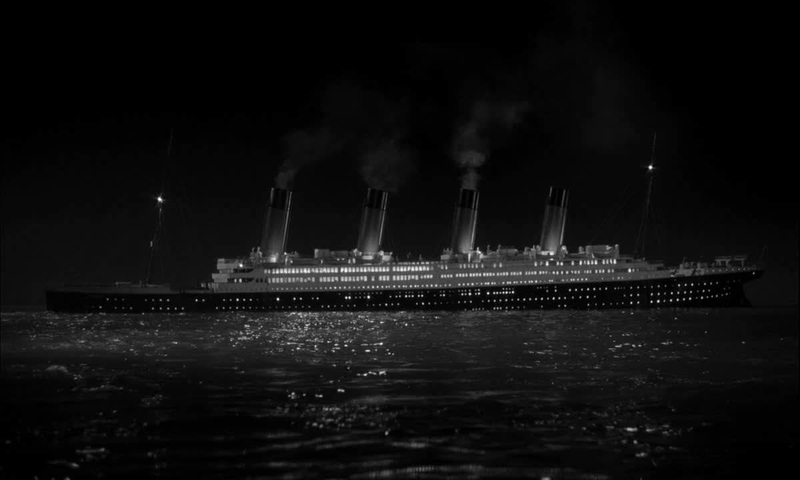 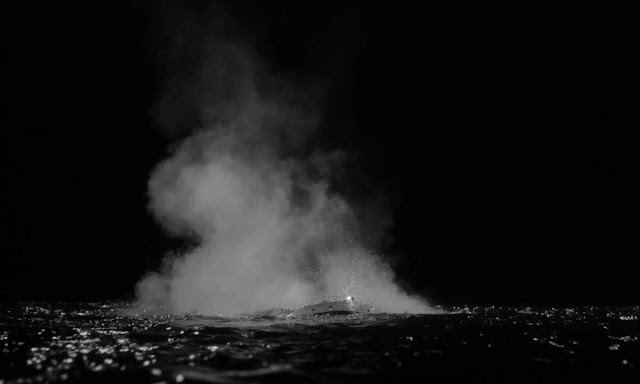 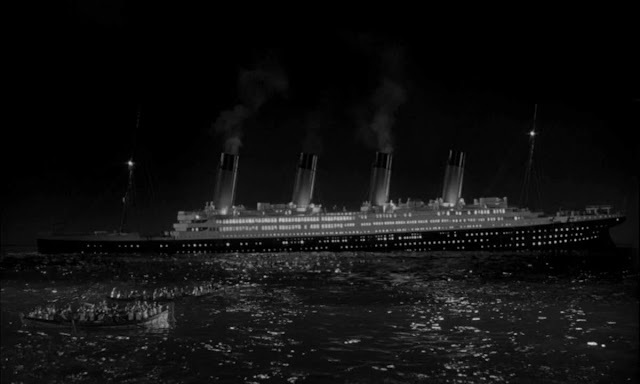 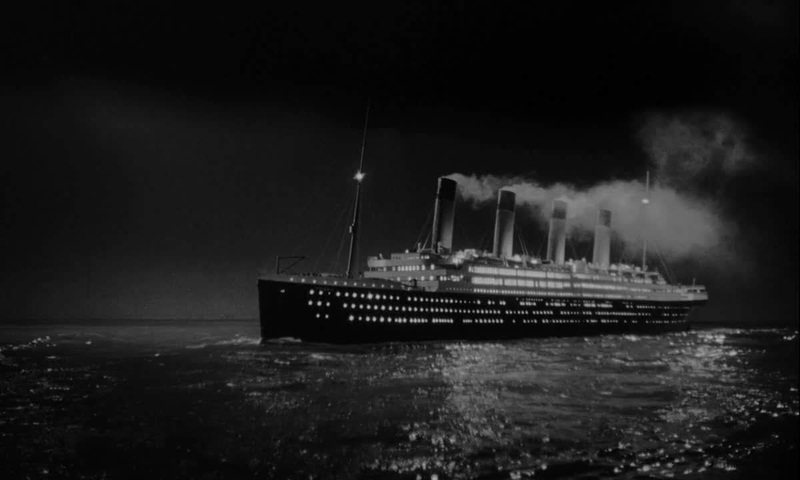 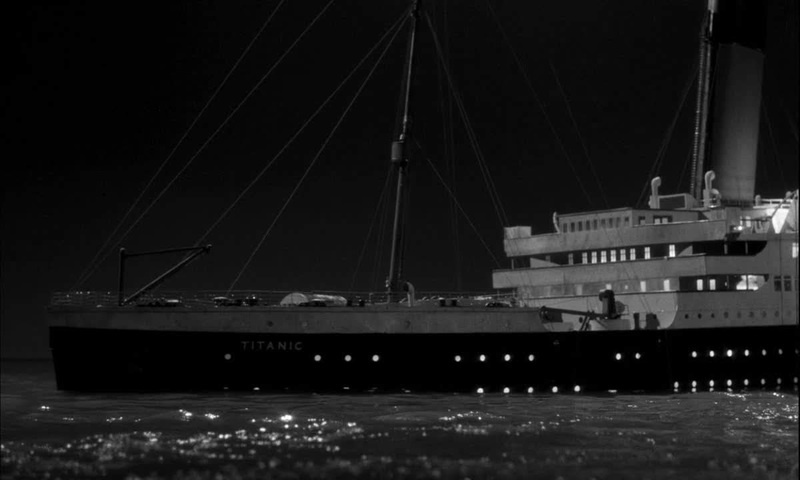 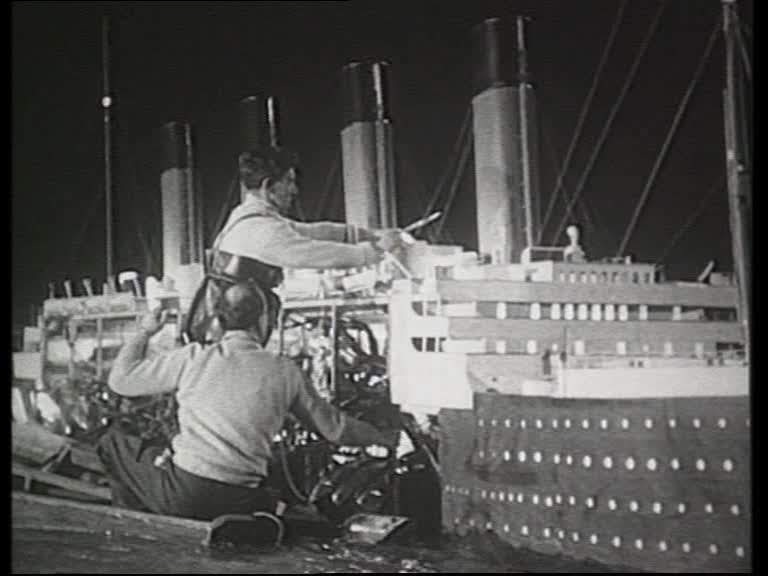 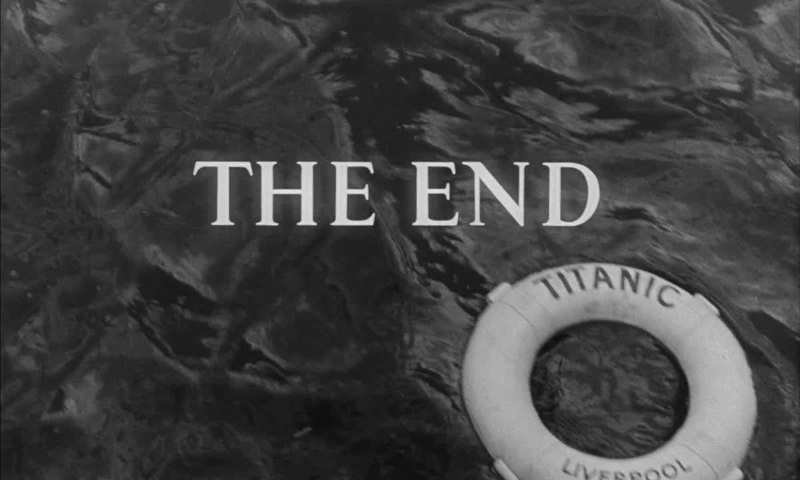 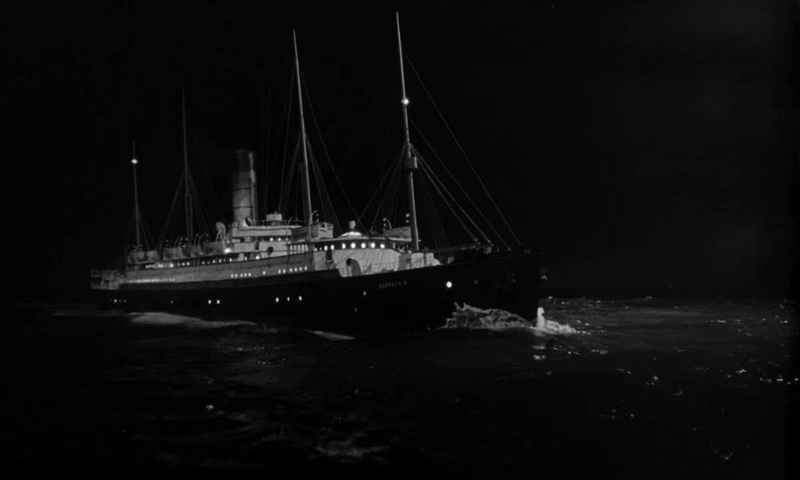 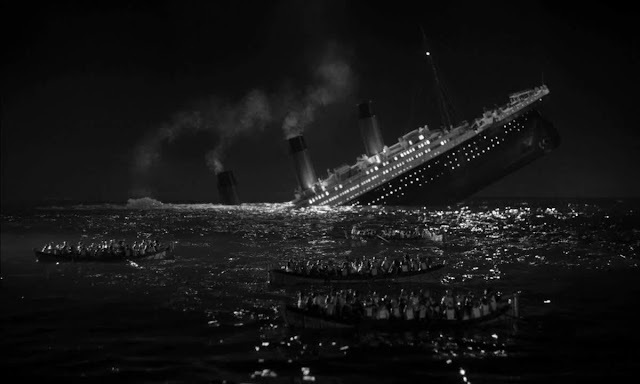 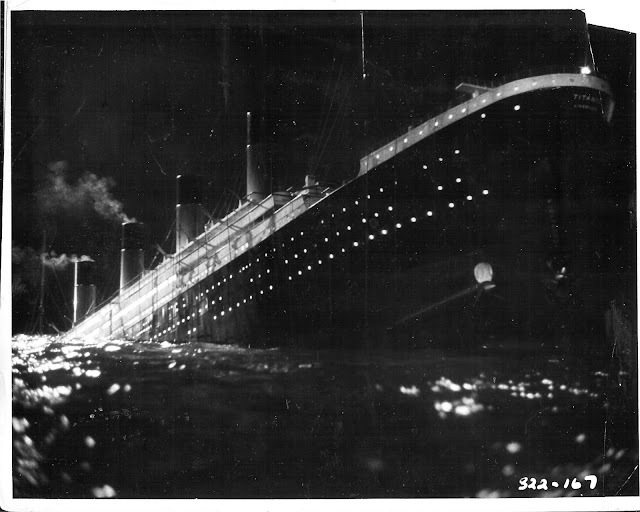 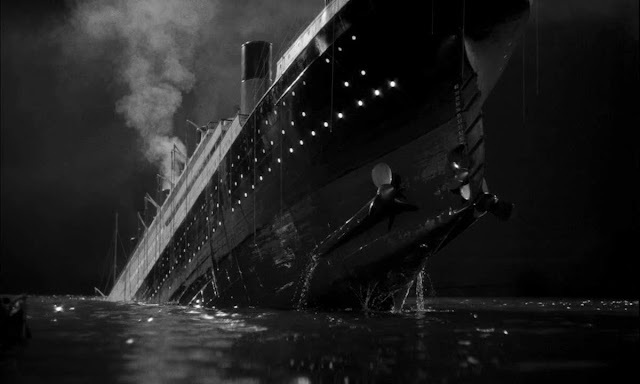 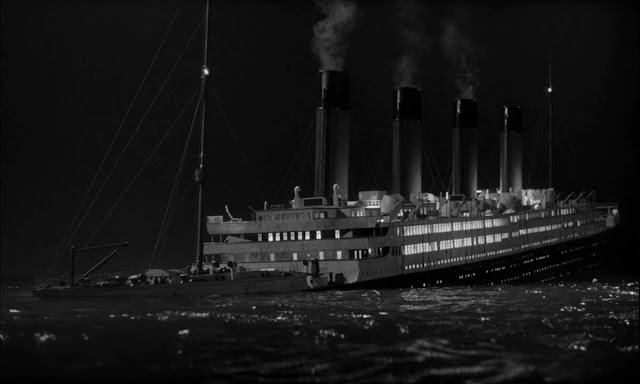 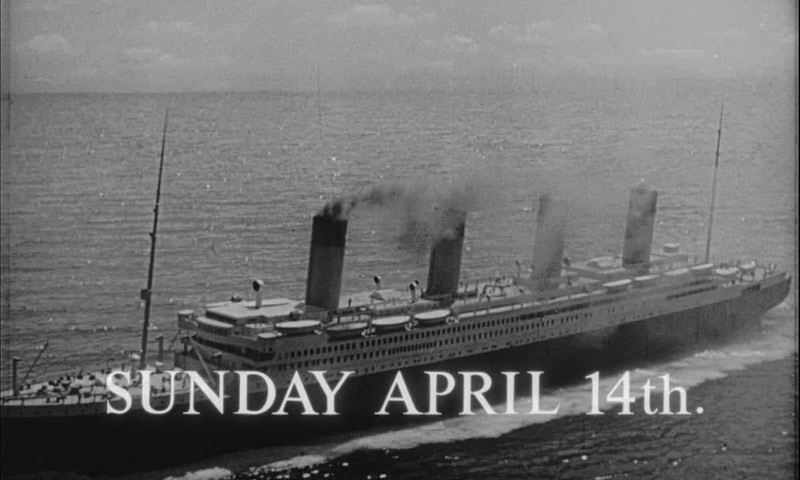 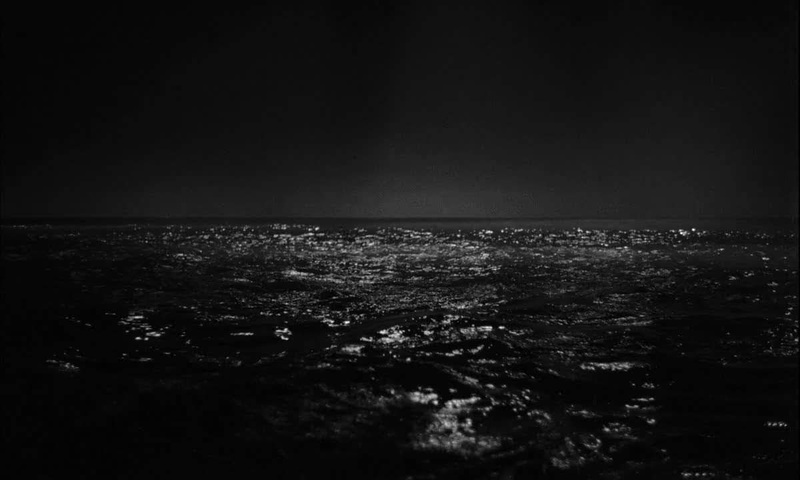 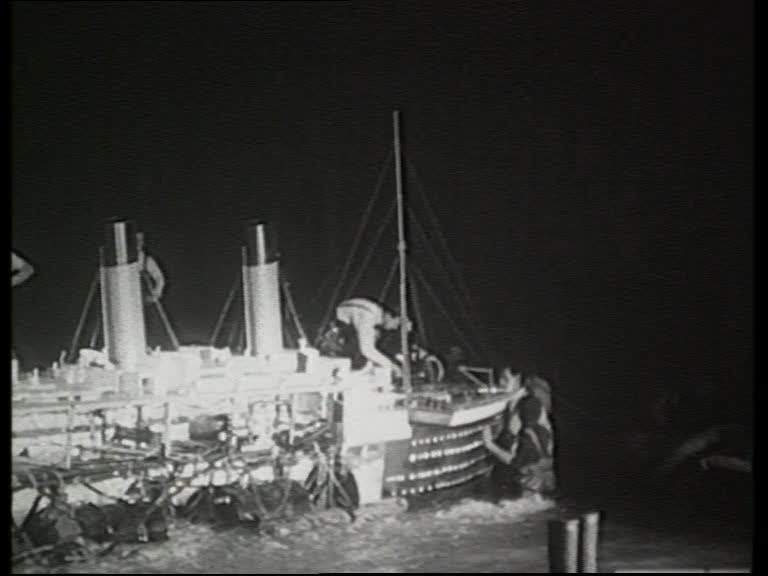 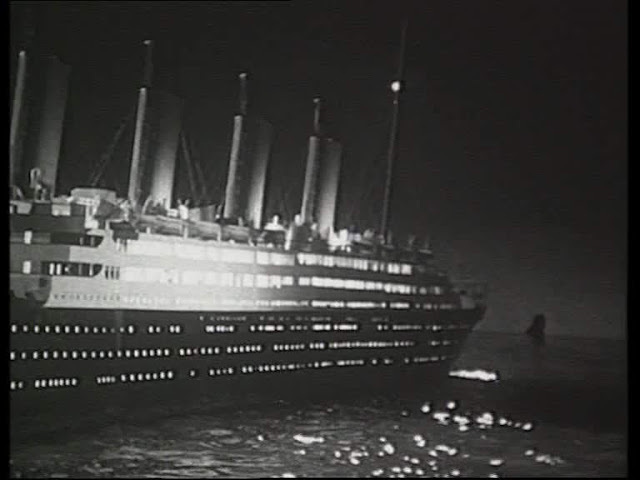 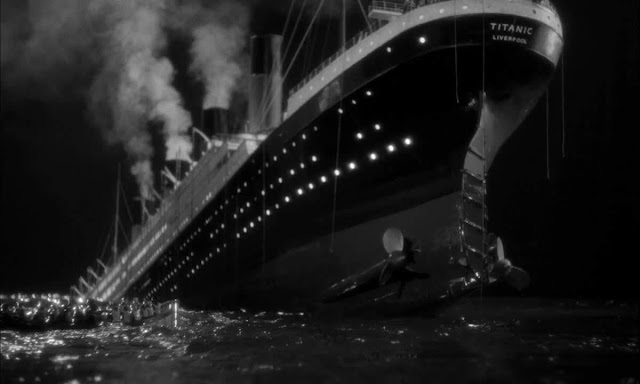 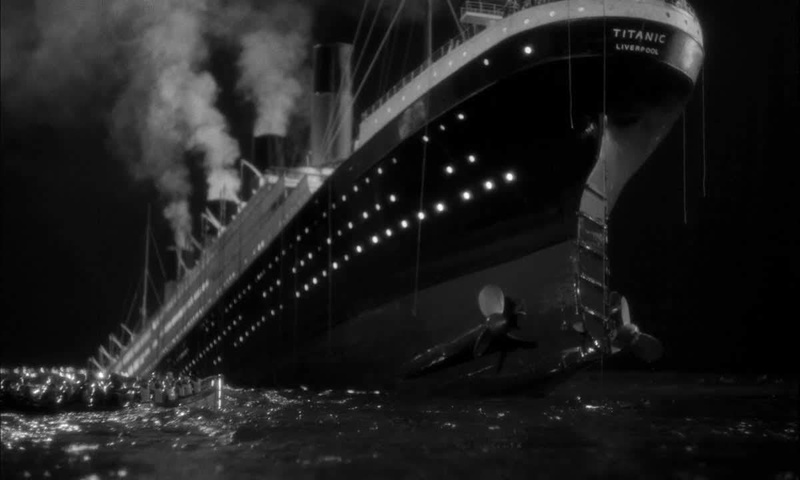 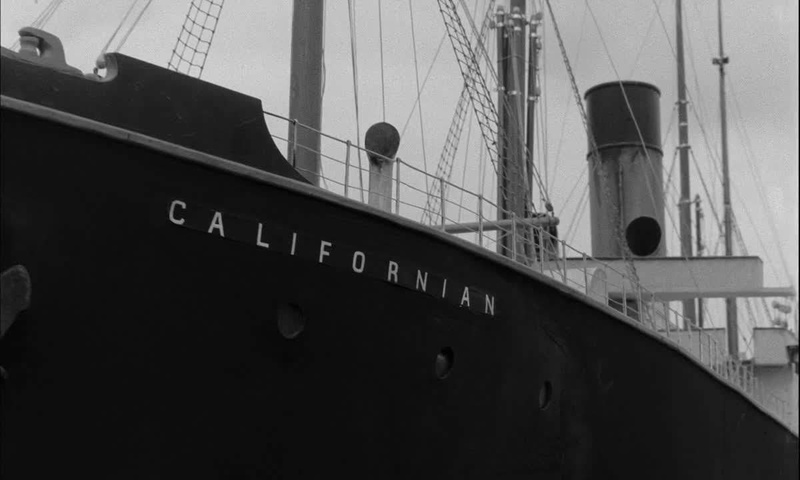 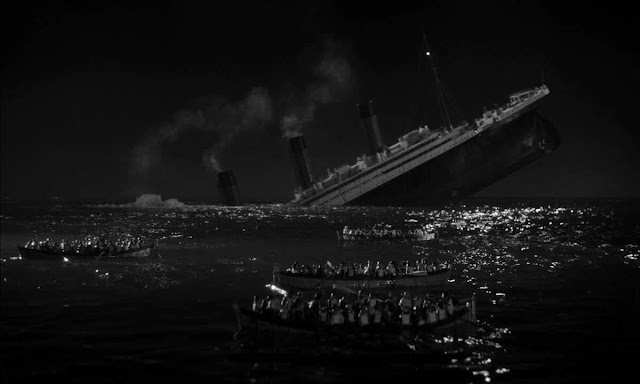 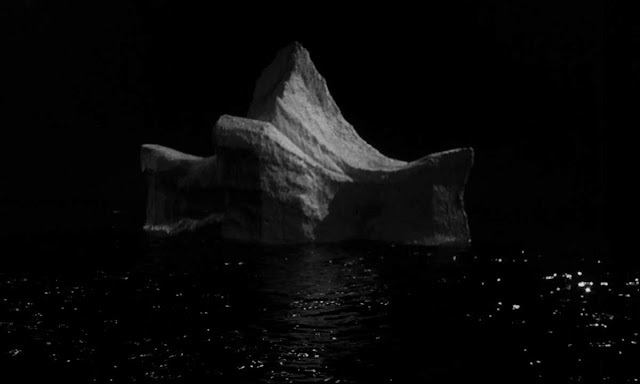 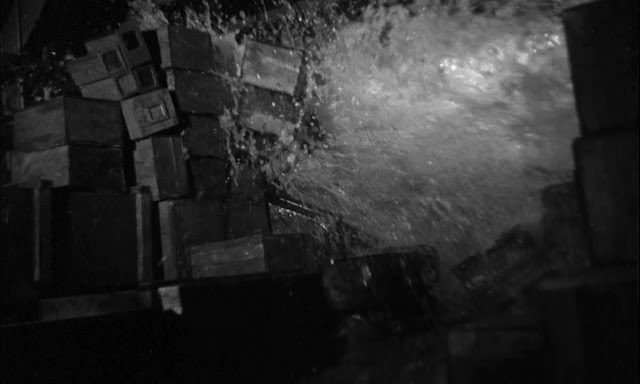 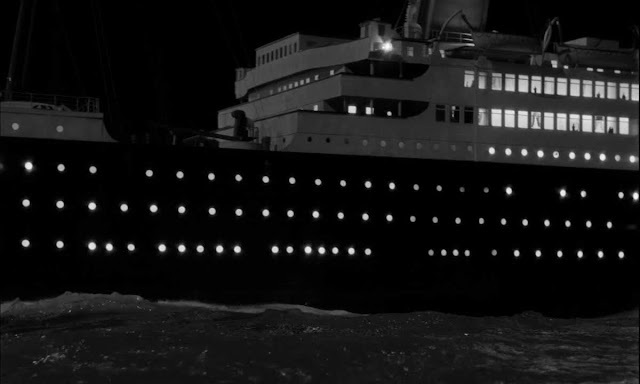 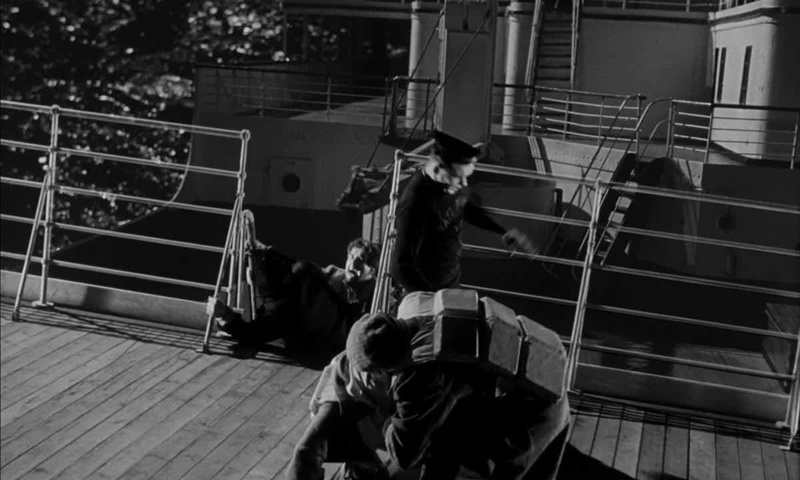 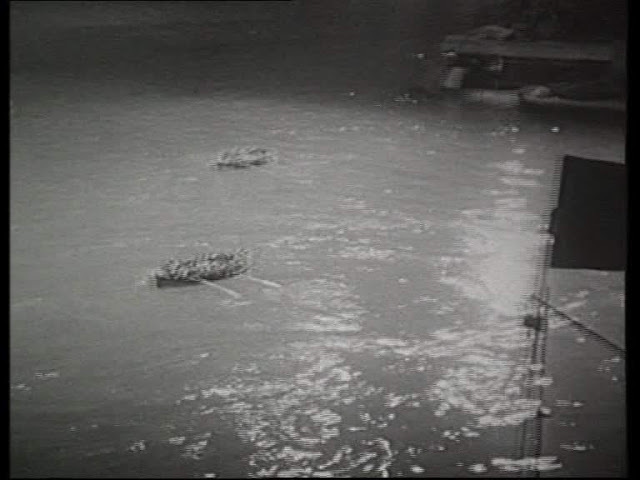 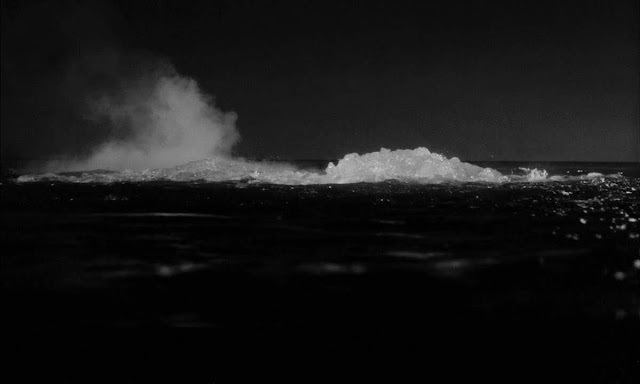 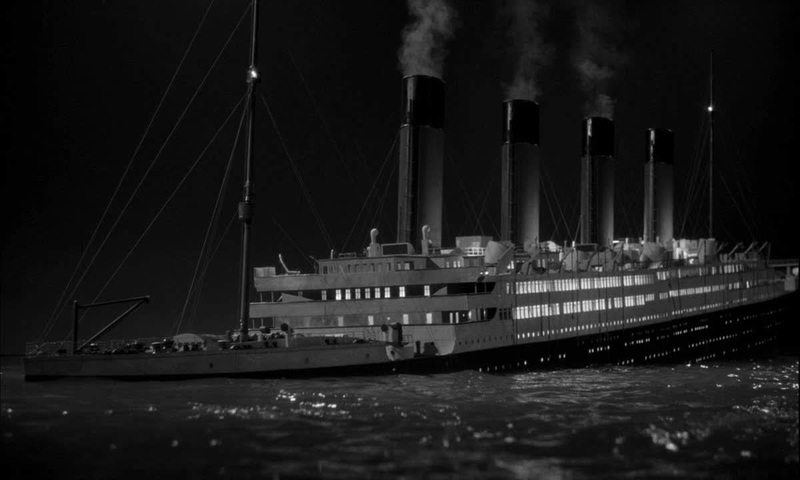 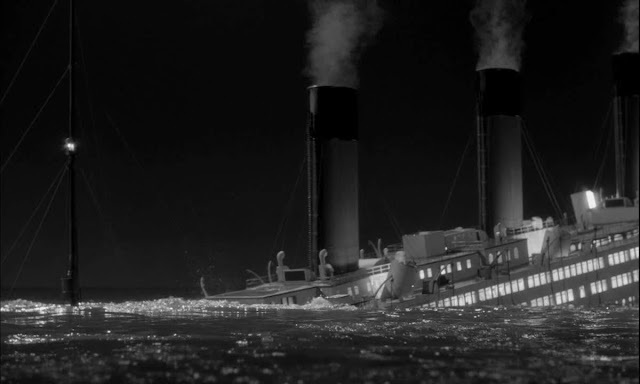 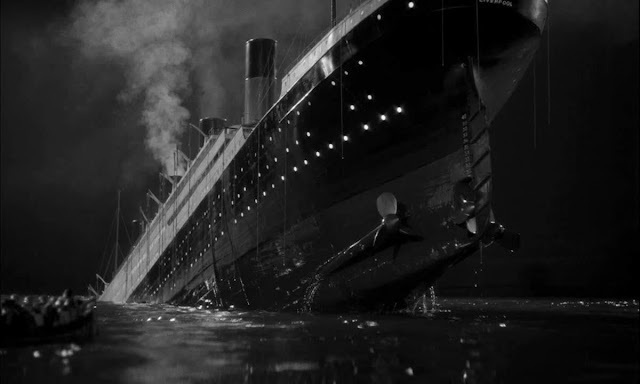 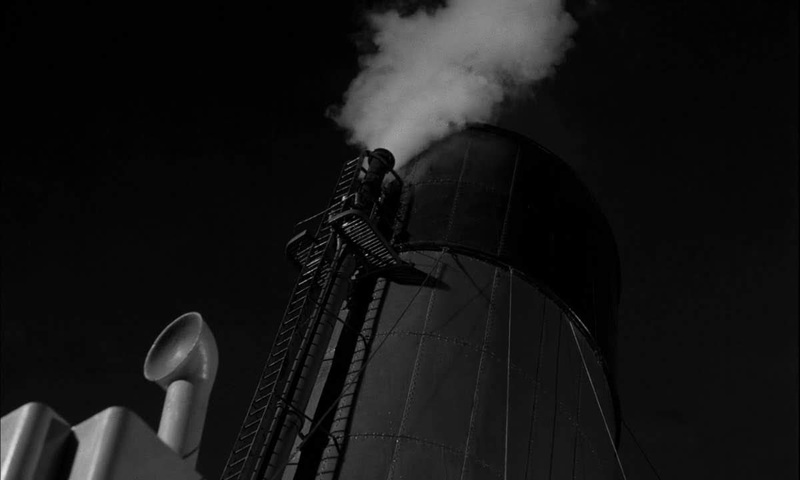 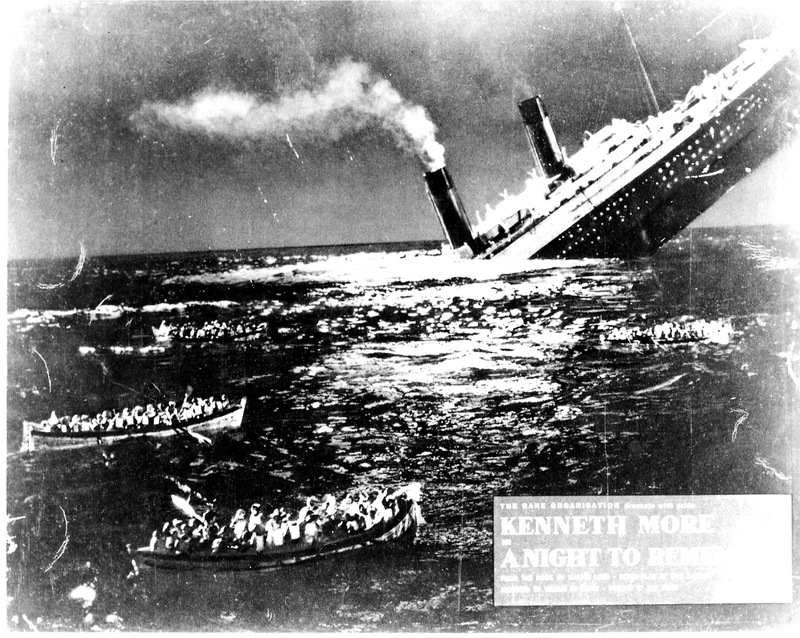 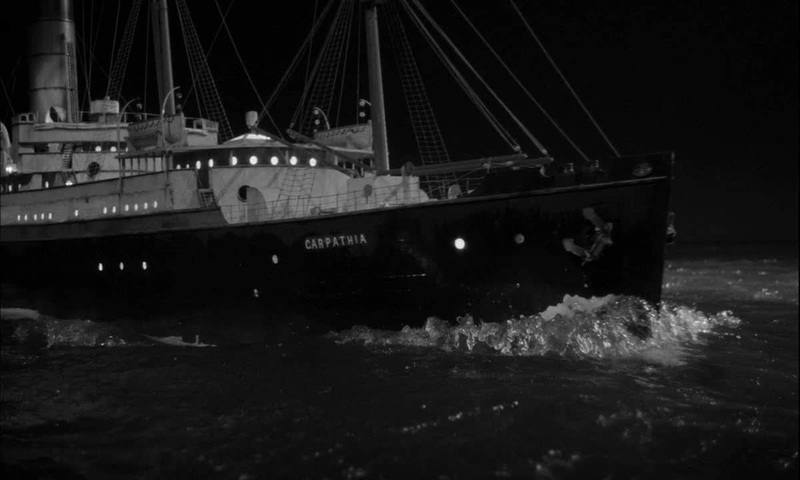 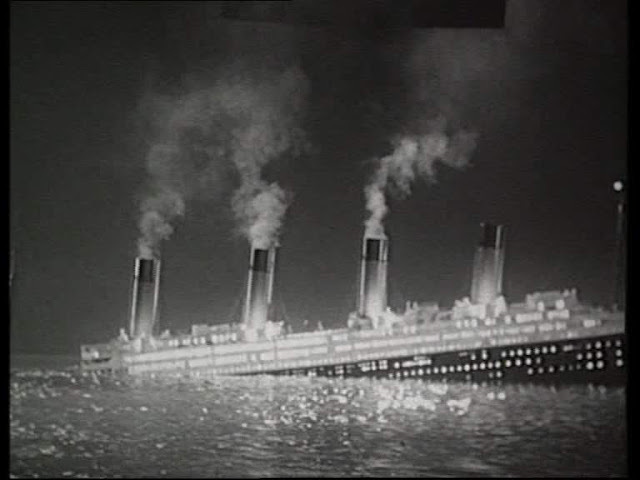 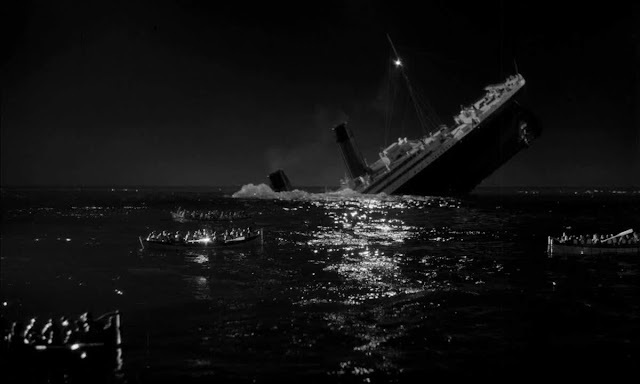 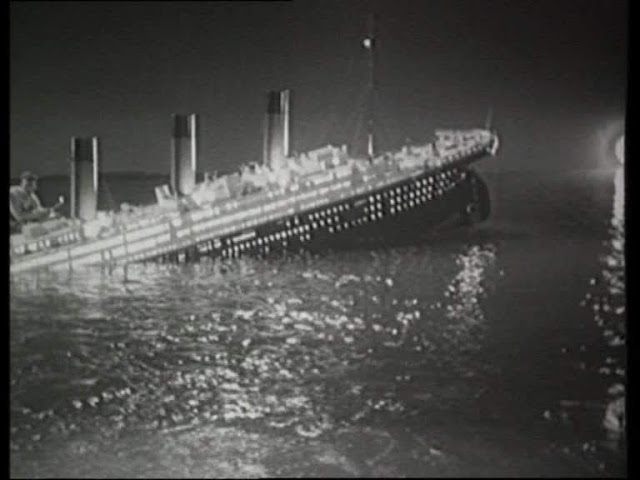 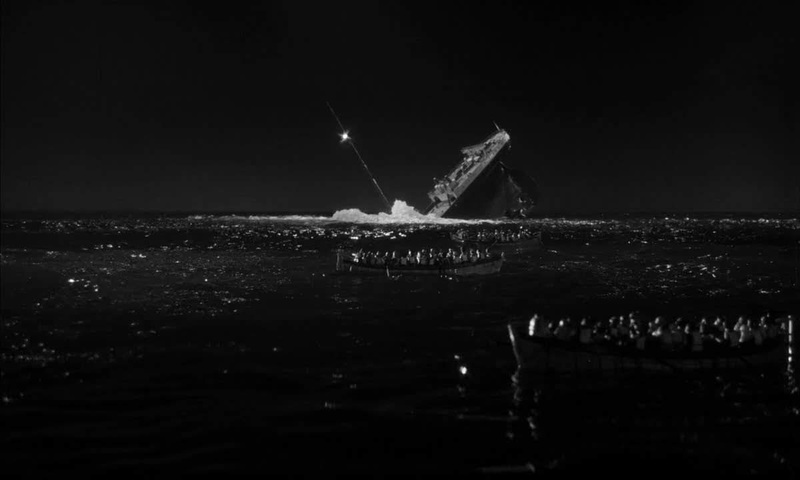 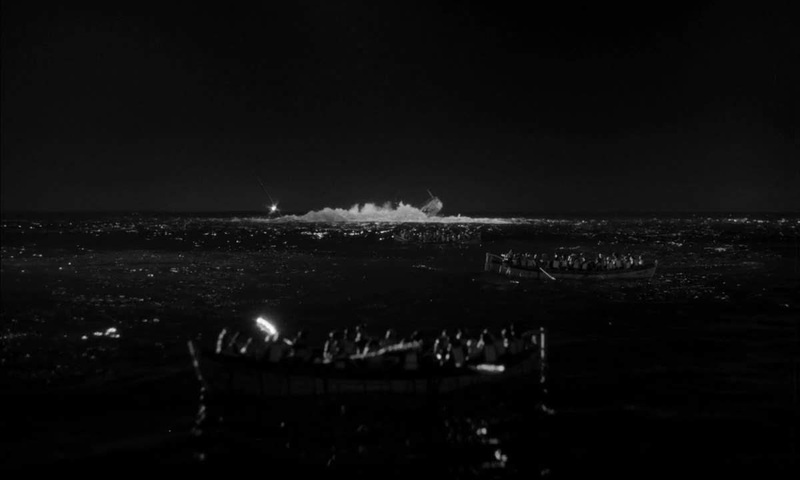 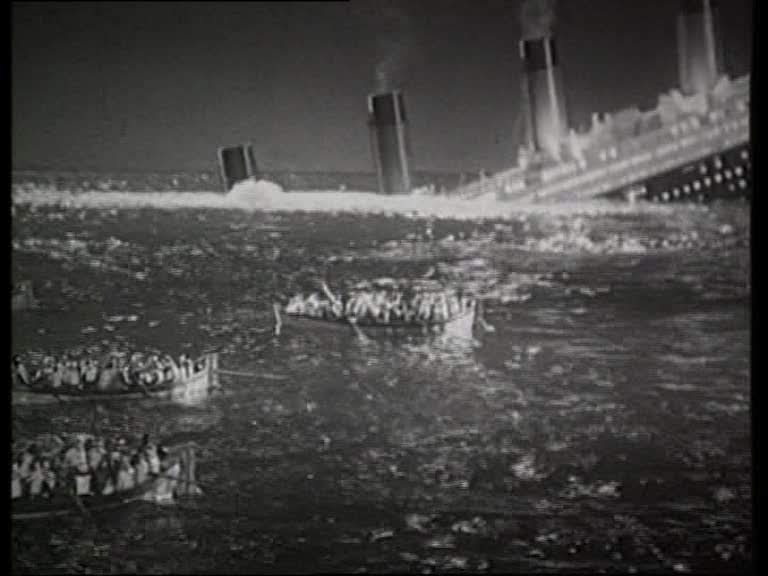 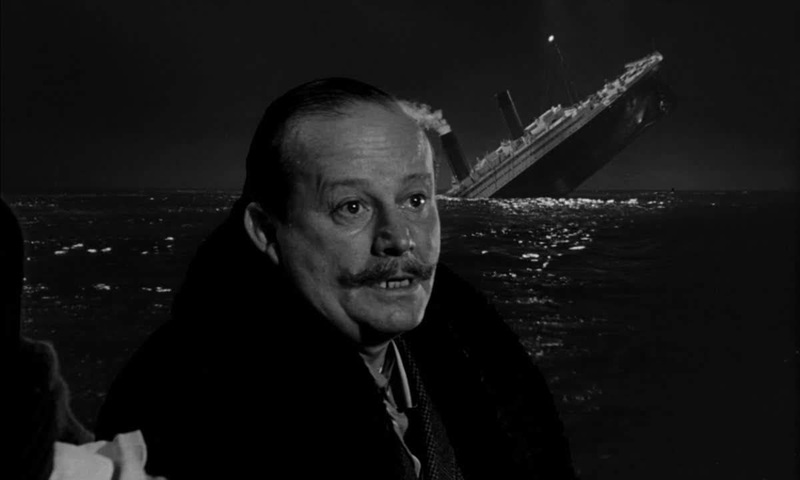 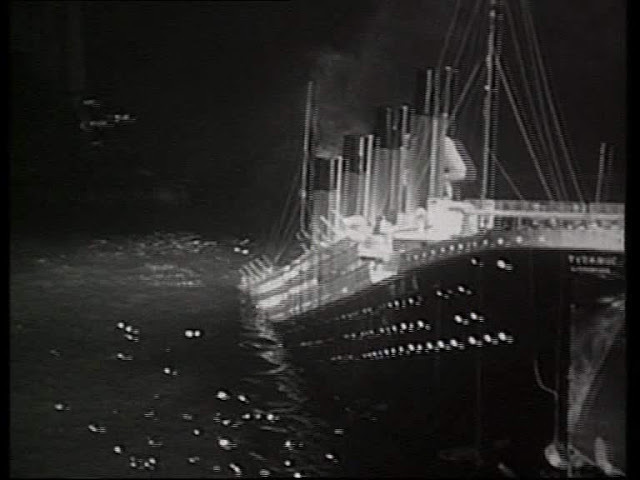 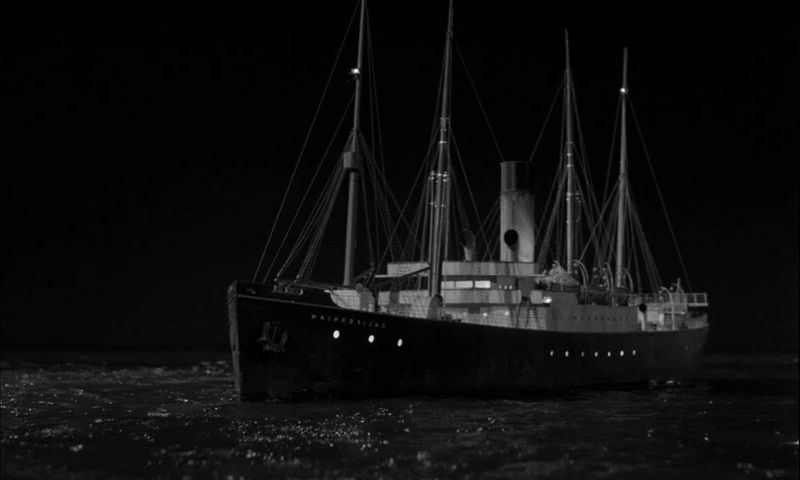 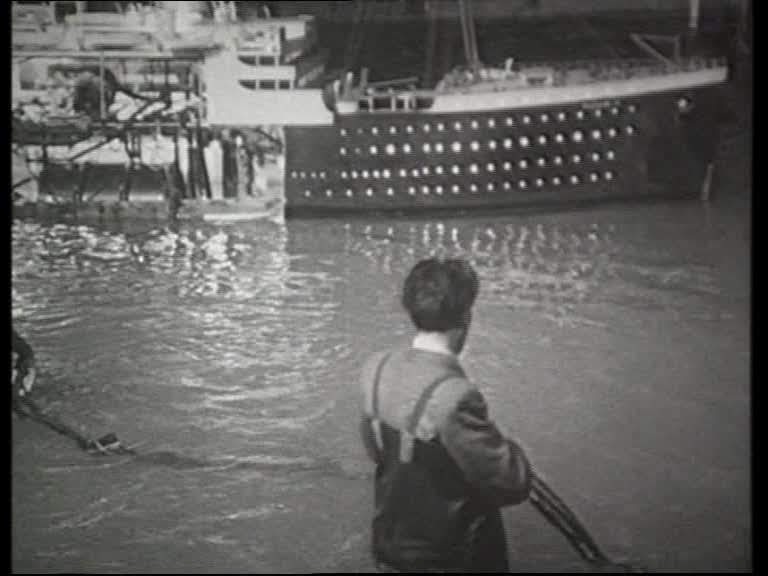 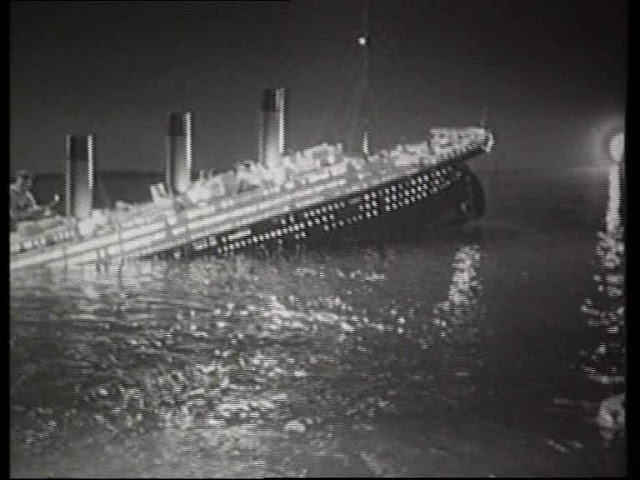 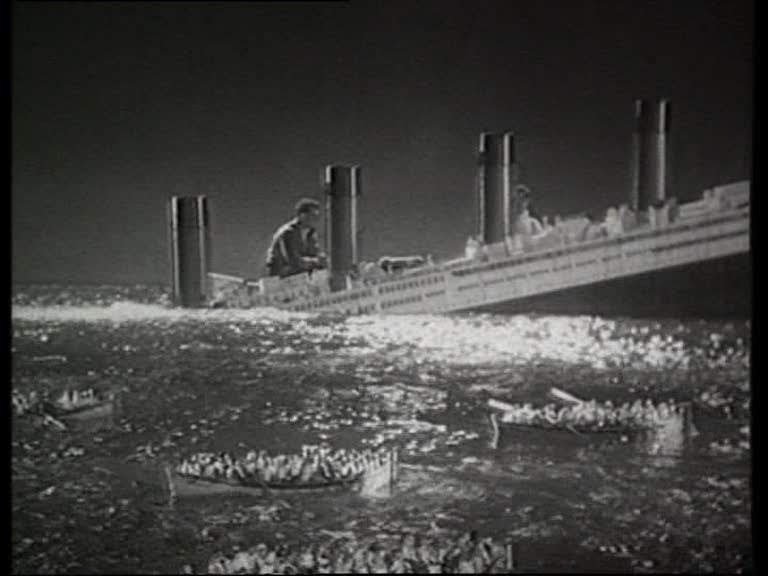 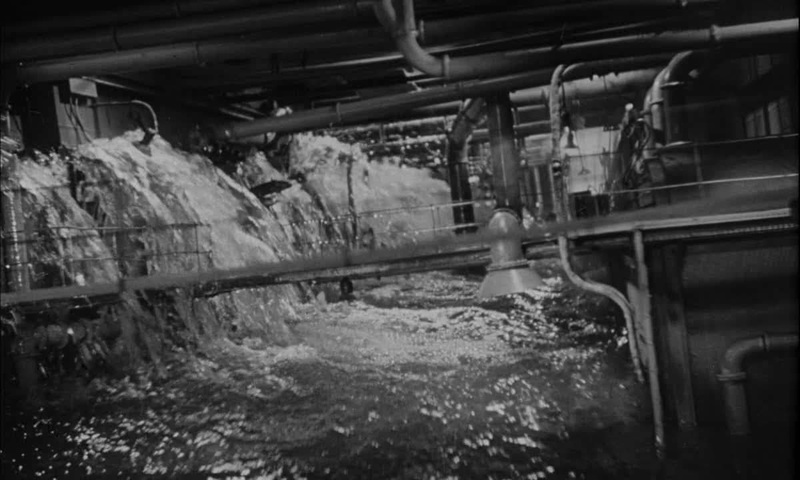 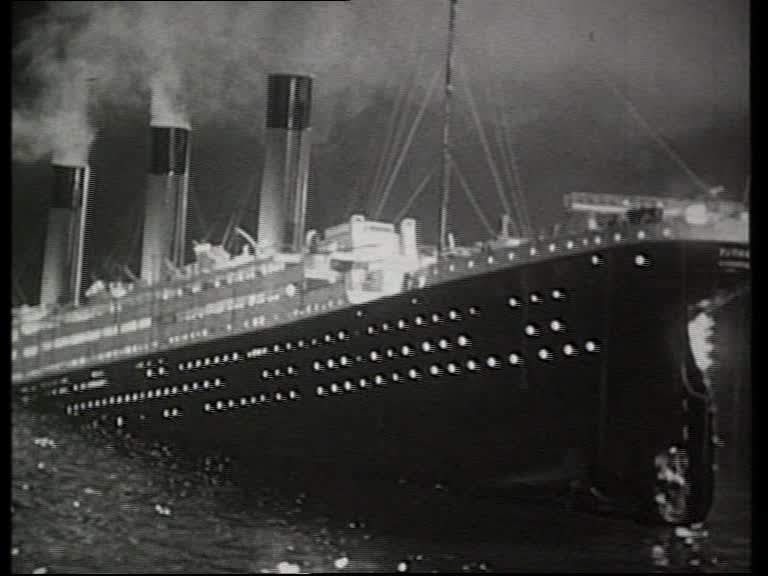 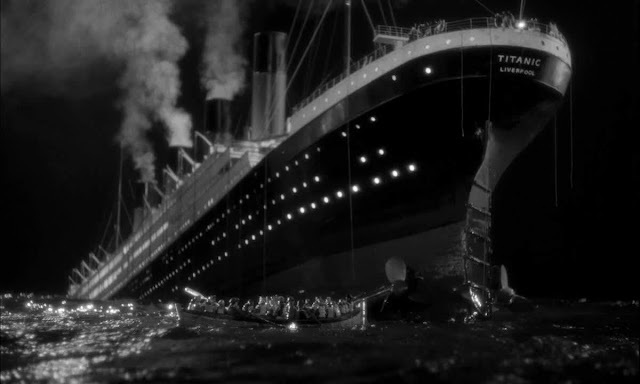 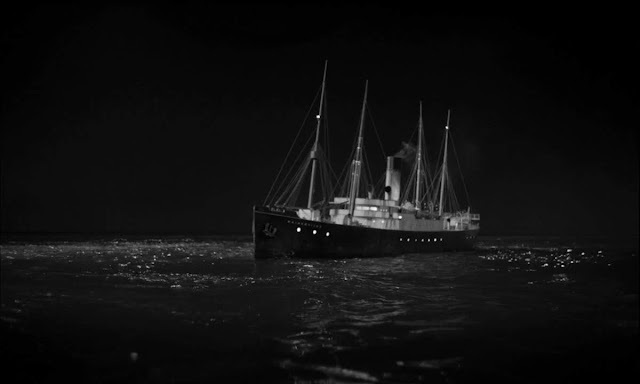 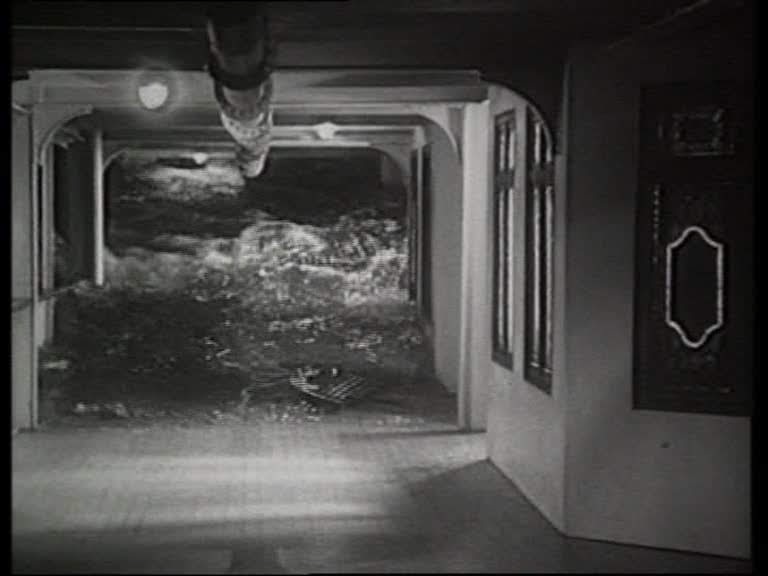 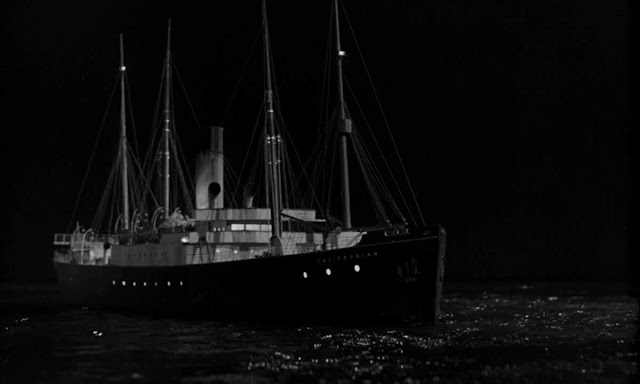 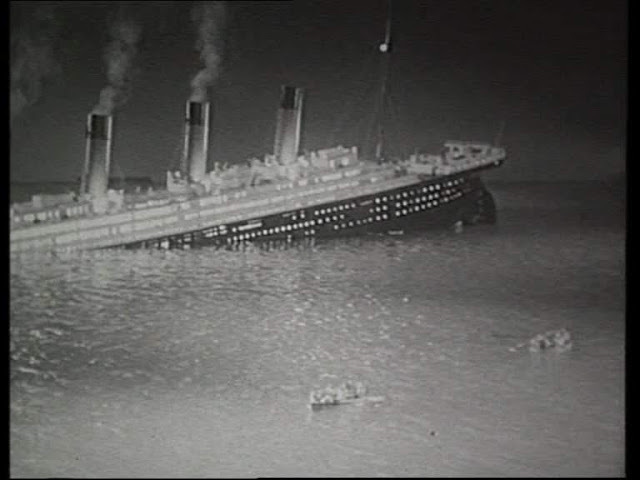 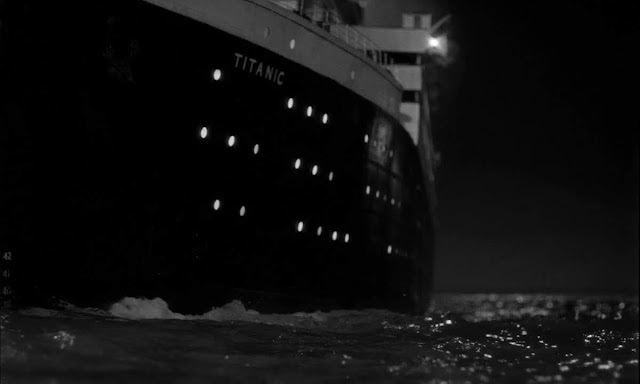 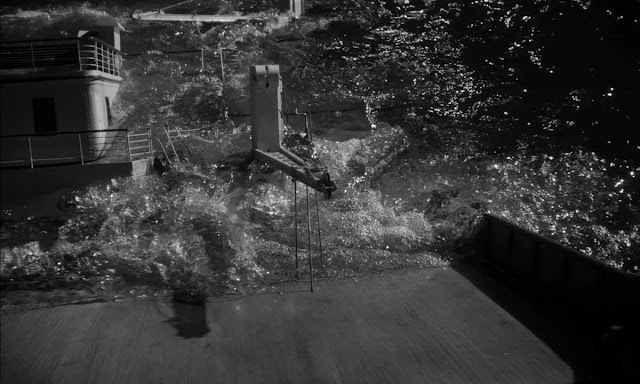 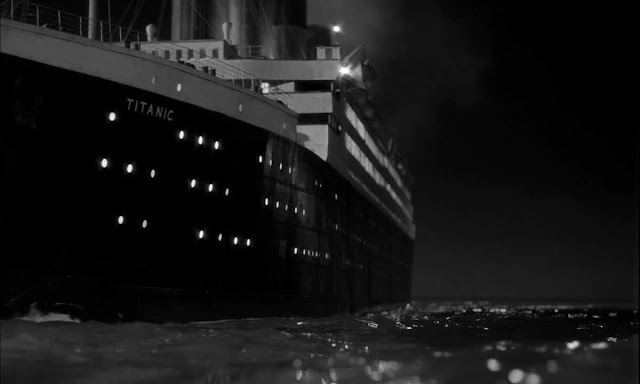 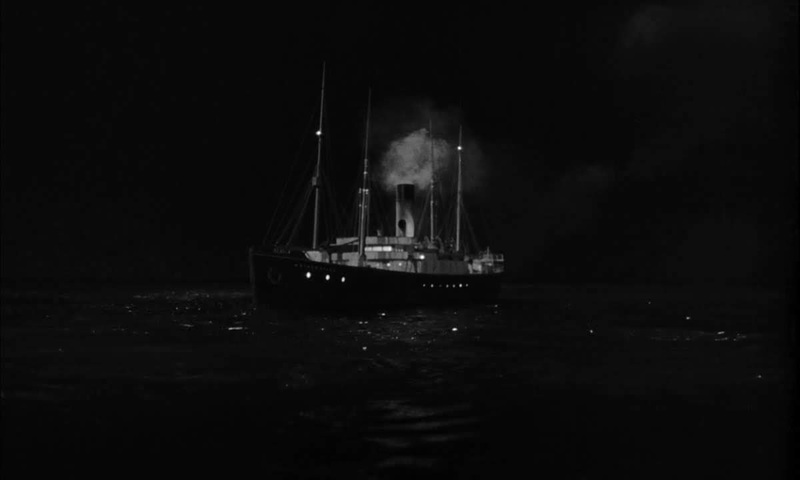 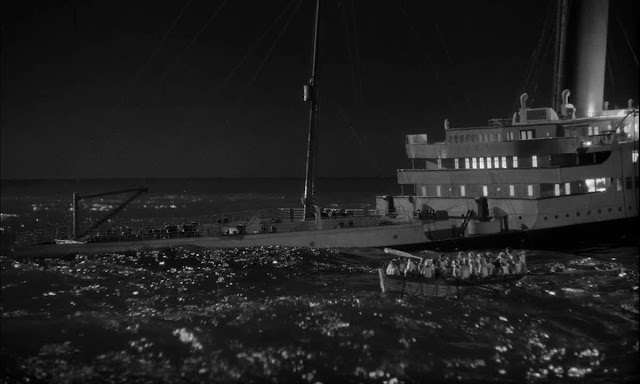 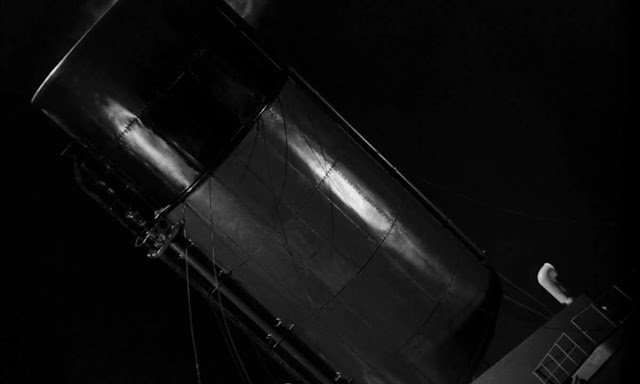 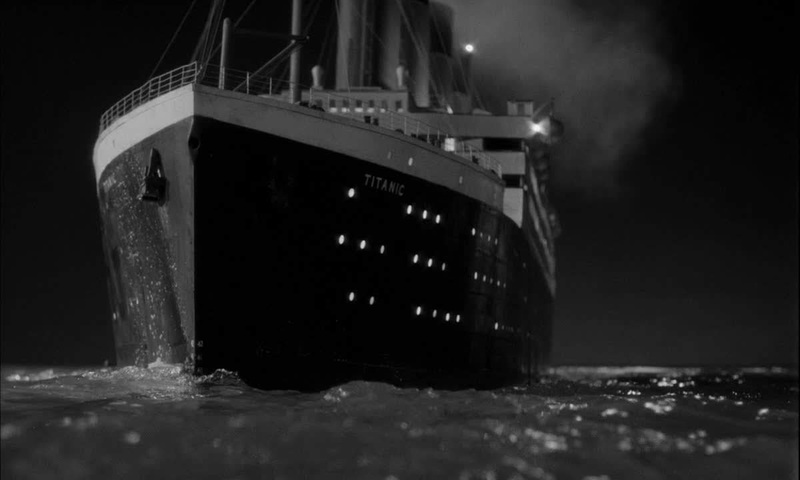 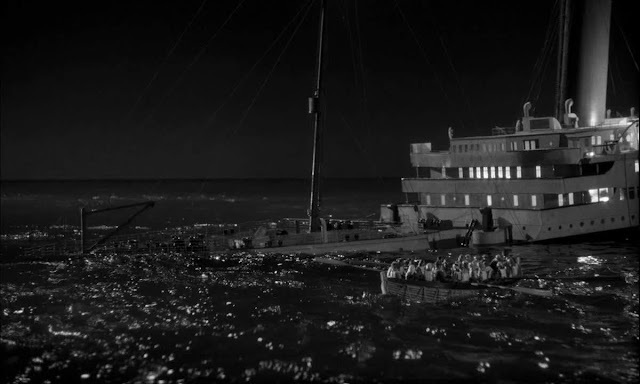 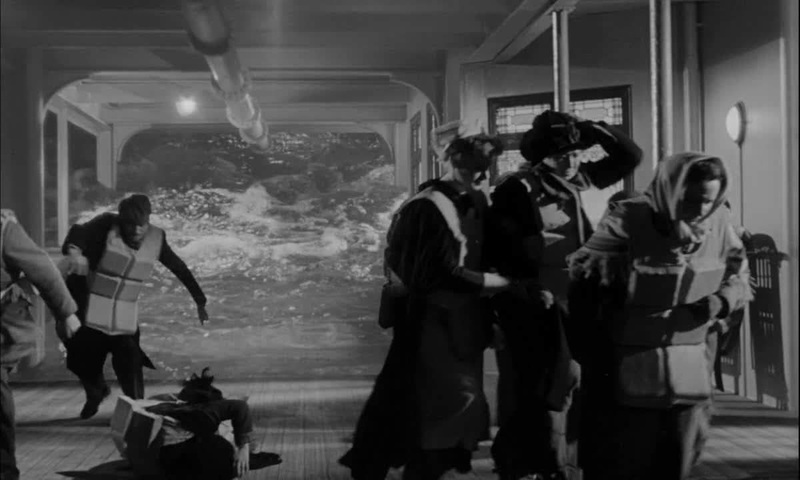 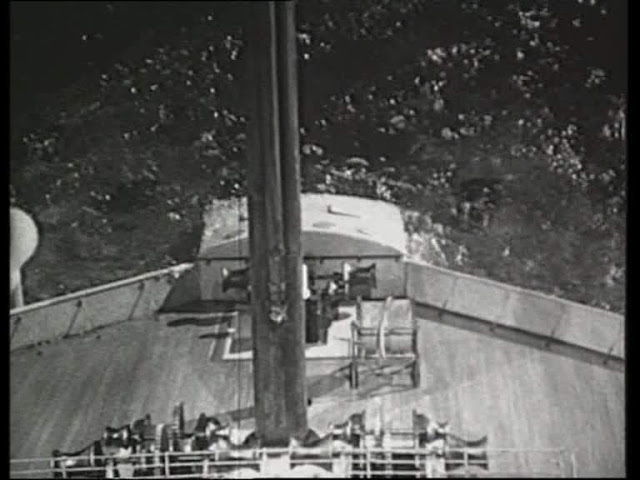 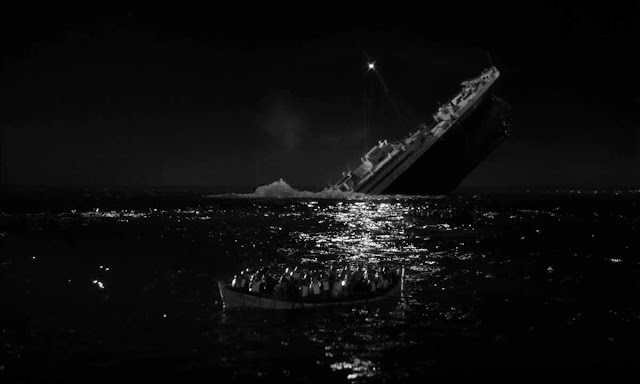 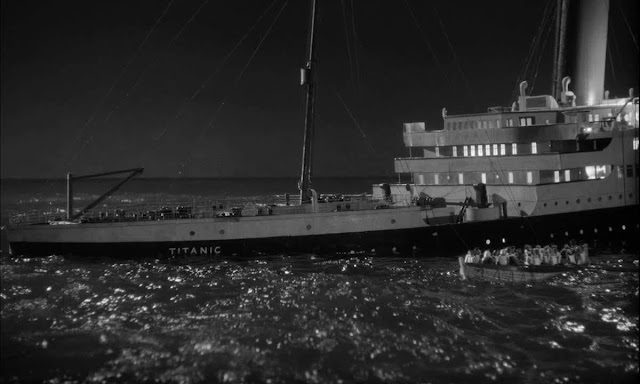 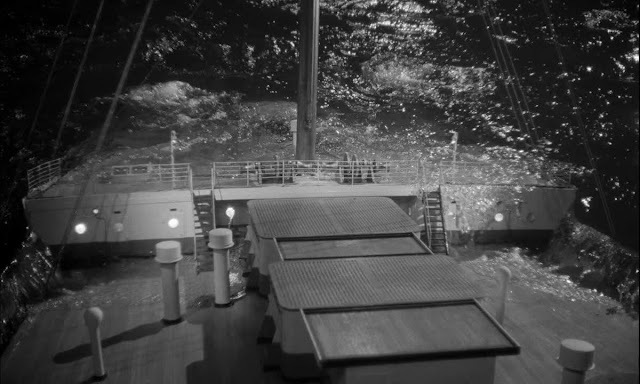 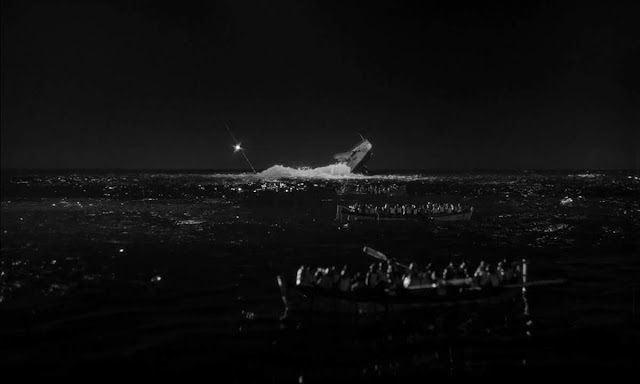 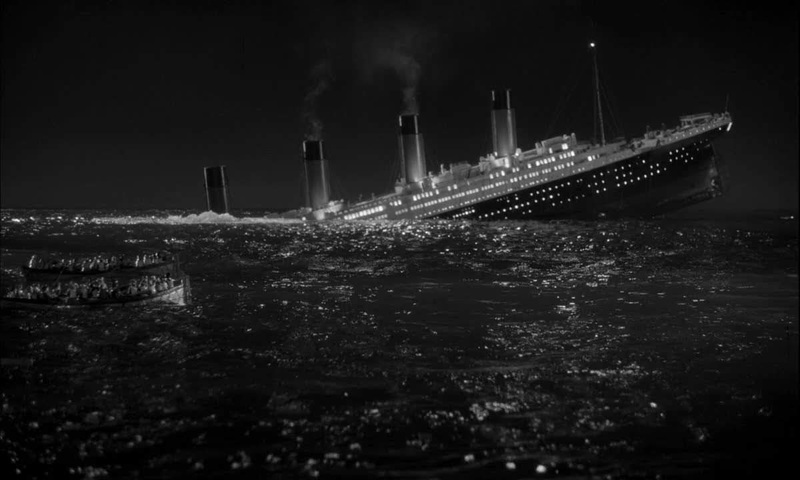 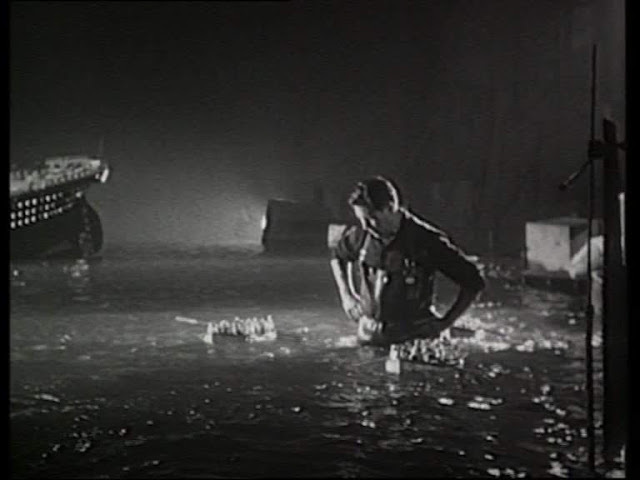 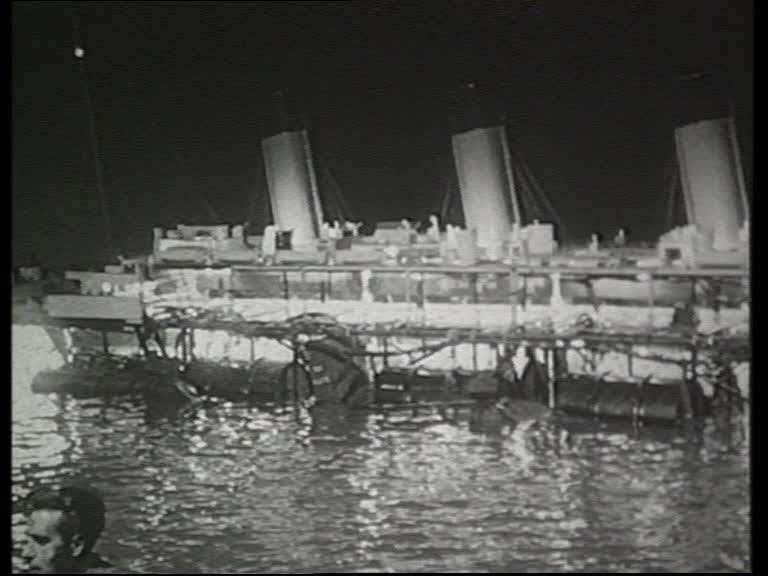 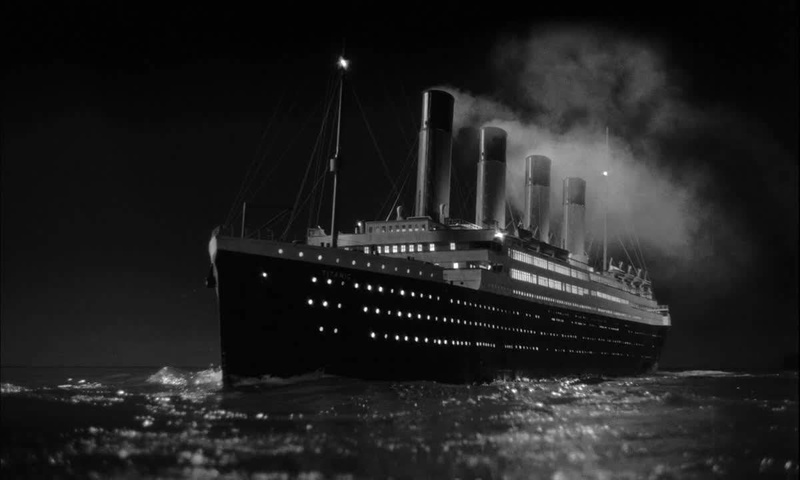 Four miniature shots in the film are taken from the German Titanic movie made in 1943. 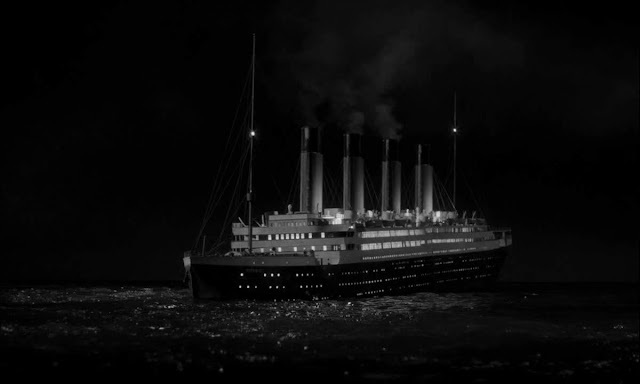 Sunny daylight shots of the titanic steaming along before the iceberg and a shots of the engine room flooding have been flopped horizontally for use in this film. 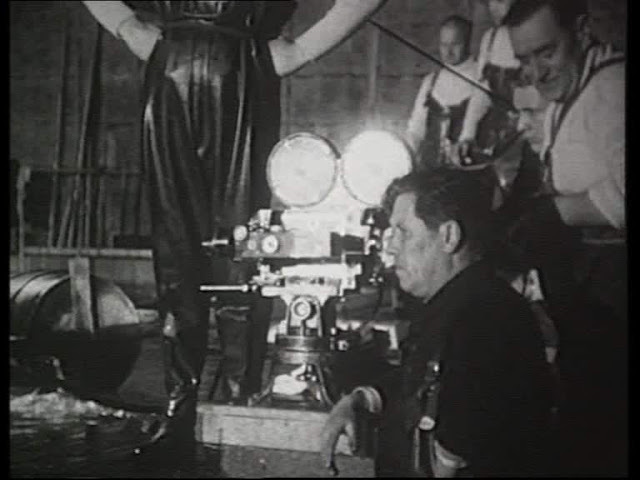 For a more detailed examination of this have a look at this article on the very comprehensive Matte Shot Blog. 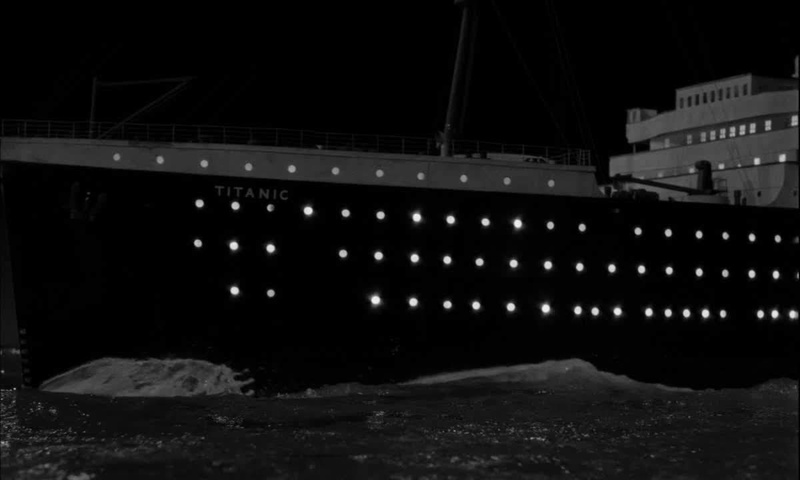 Shot taken from the German Titanic of 1943, flopped left to right. 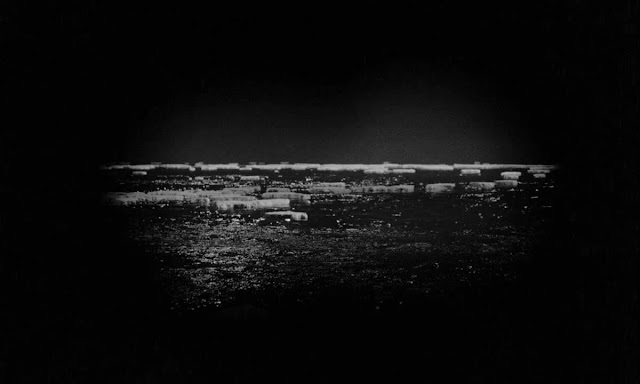 BG is a miniature plate. More information on Shawcroft Models can be found at the following link.